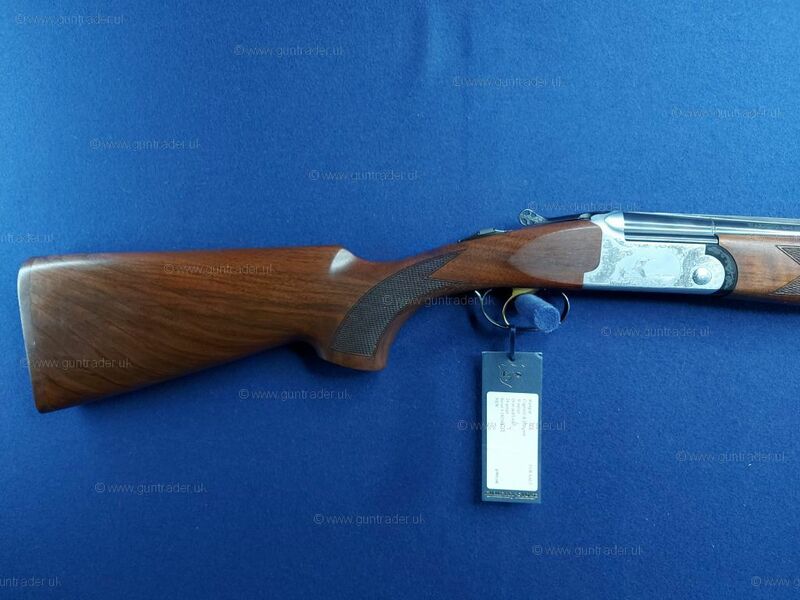 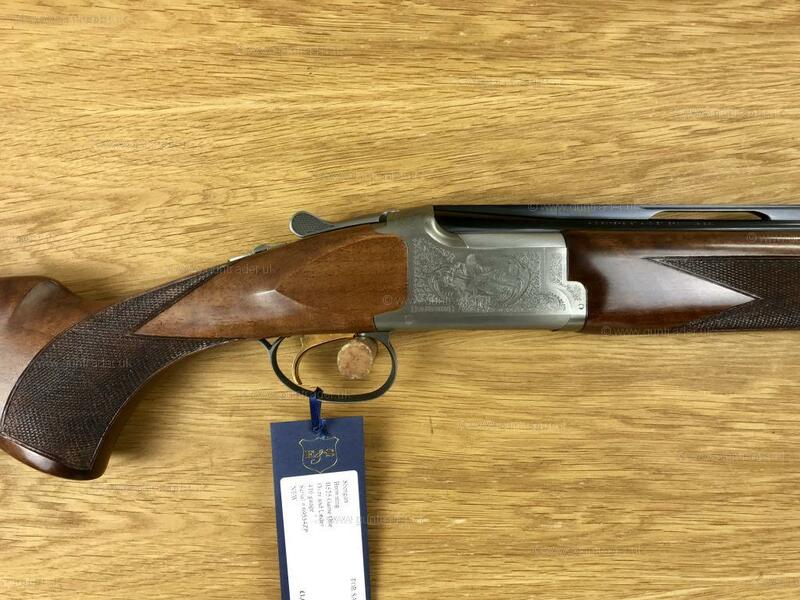 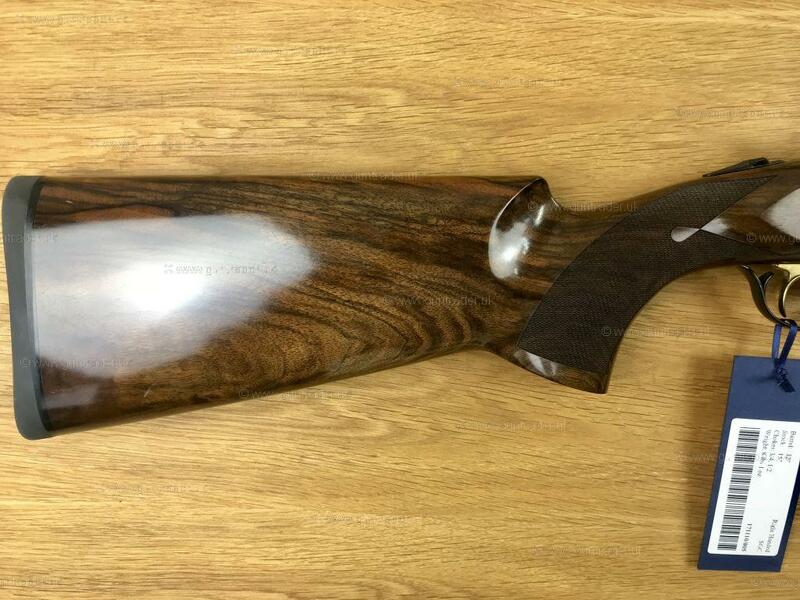 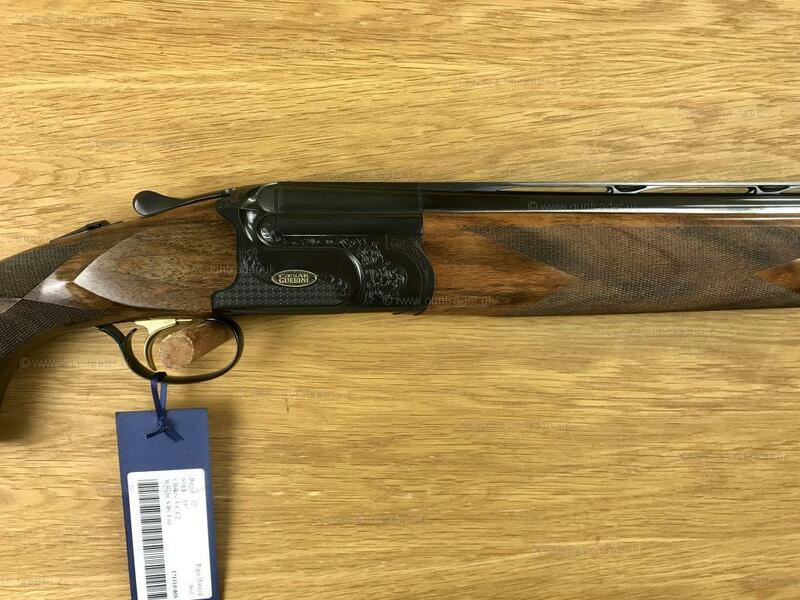 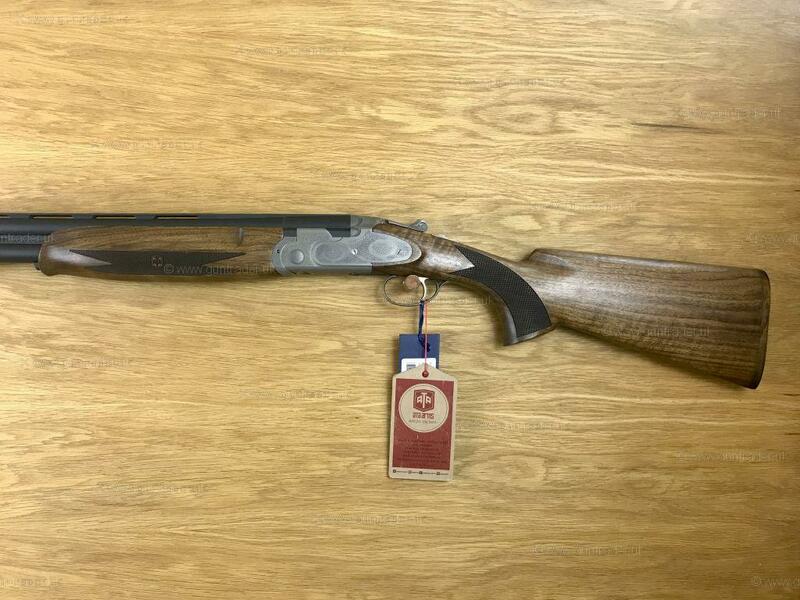 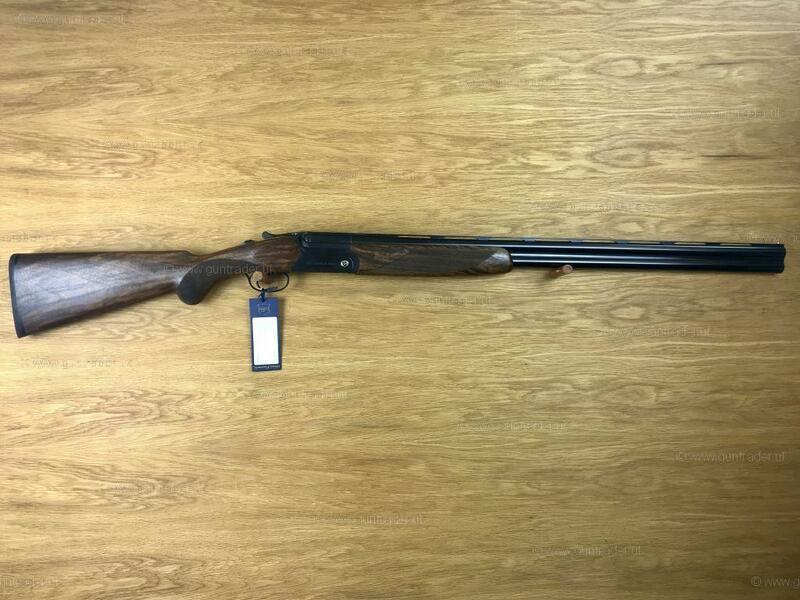 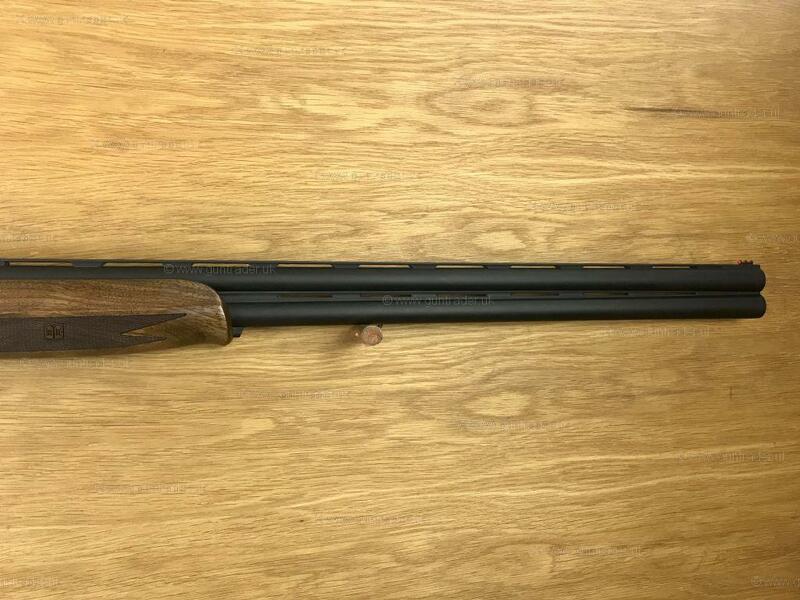 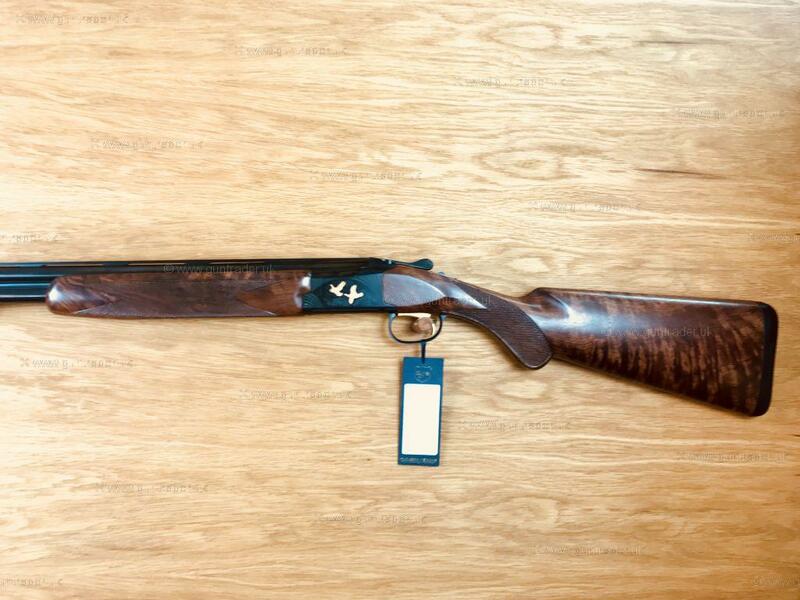 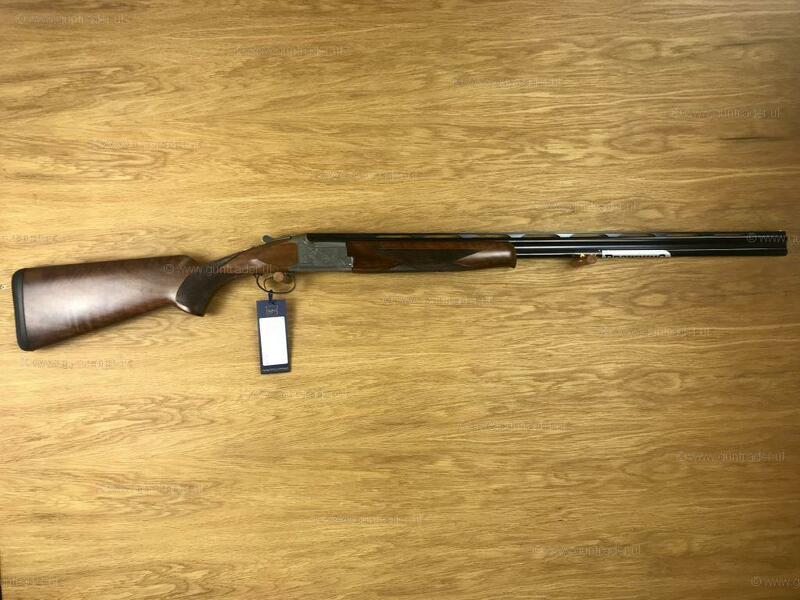 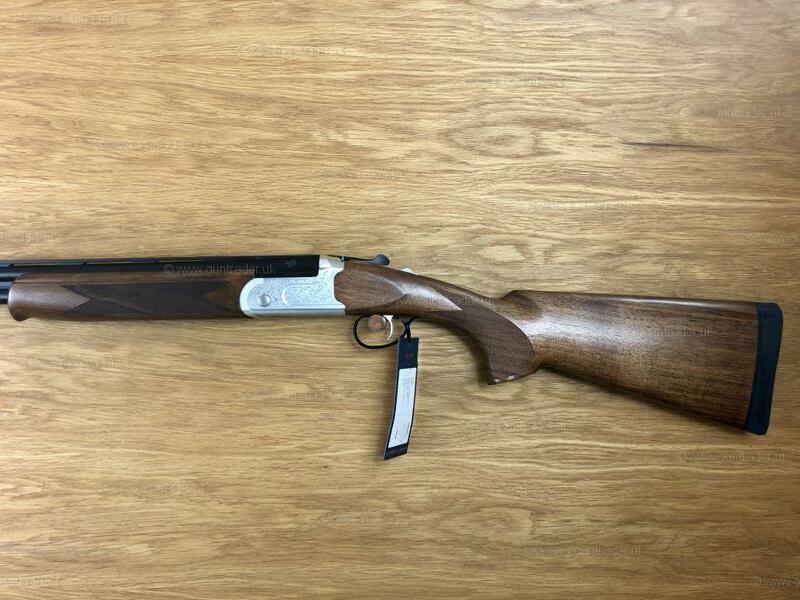 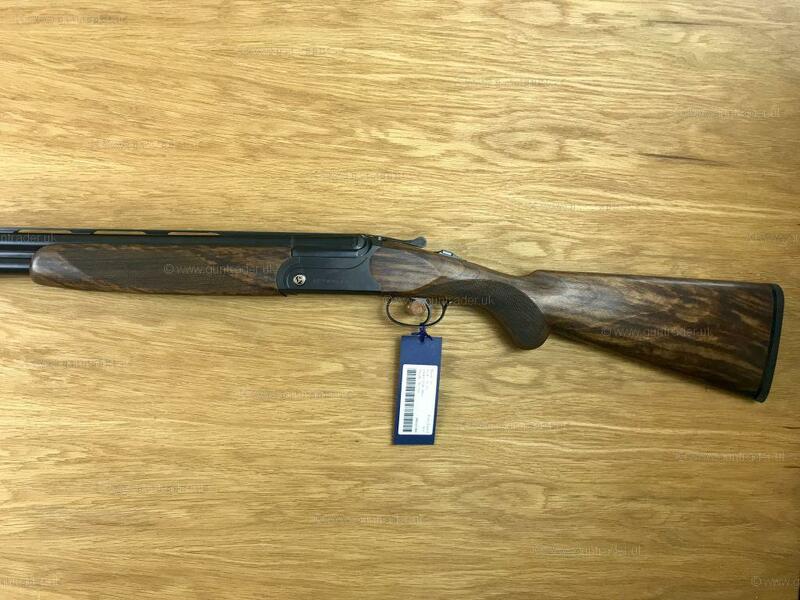 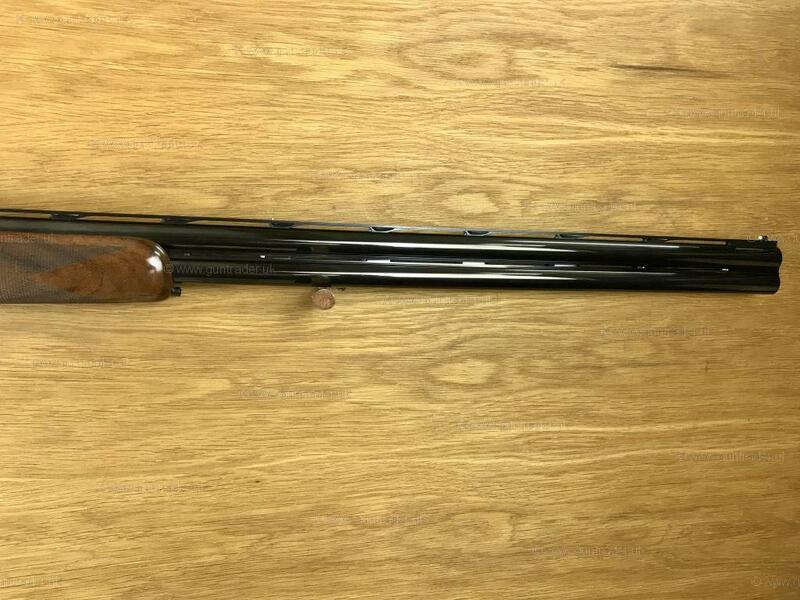 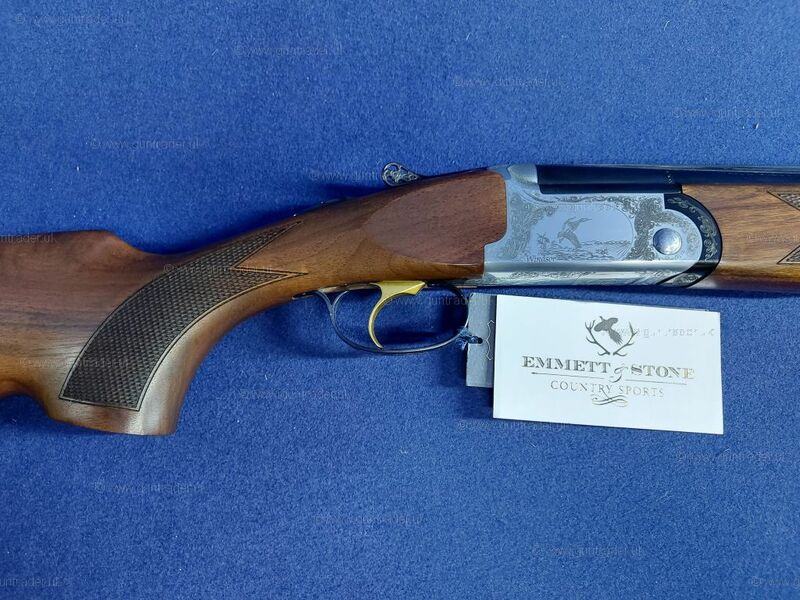 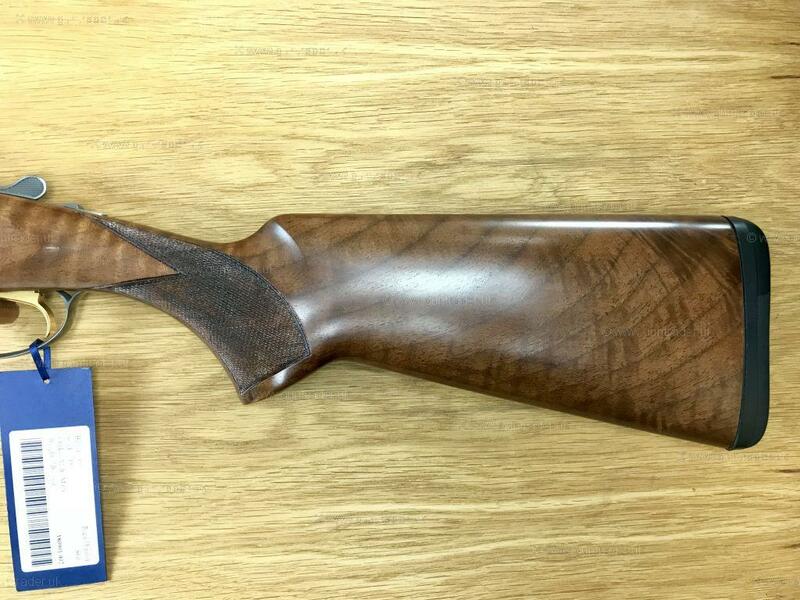 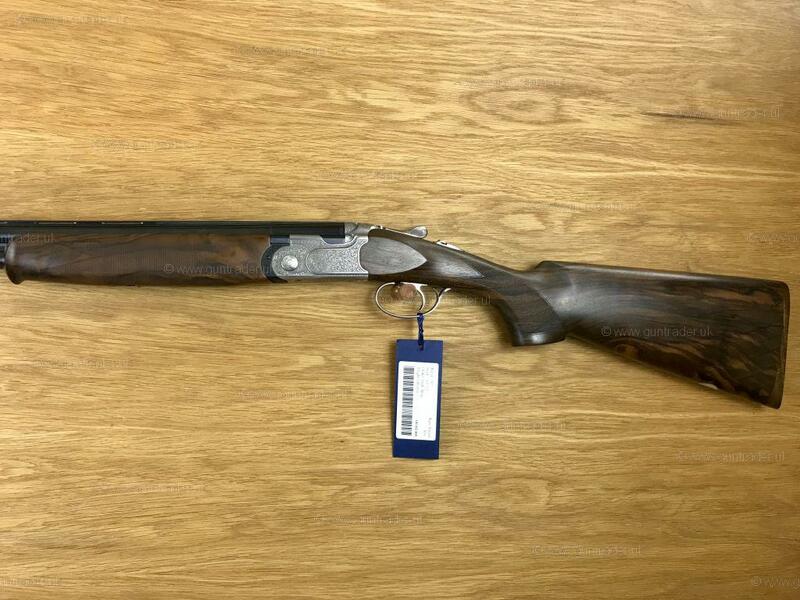 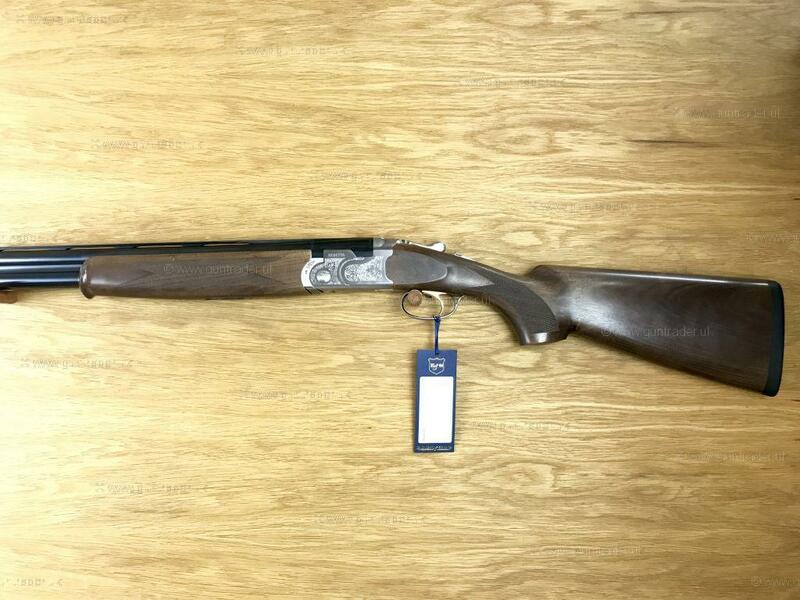 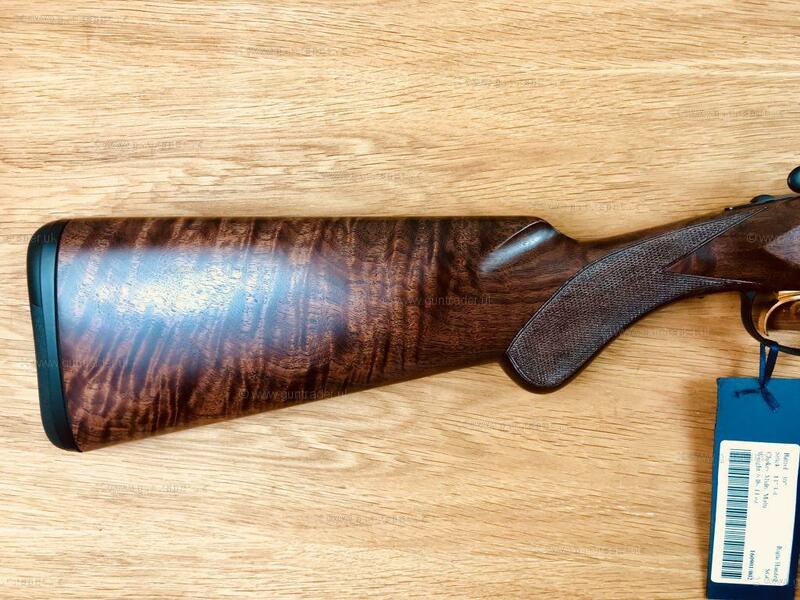 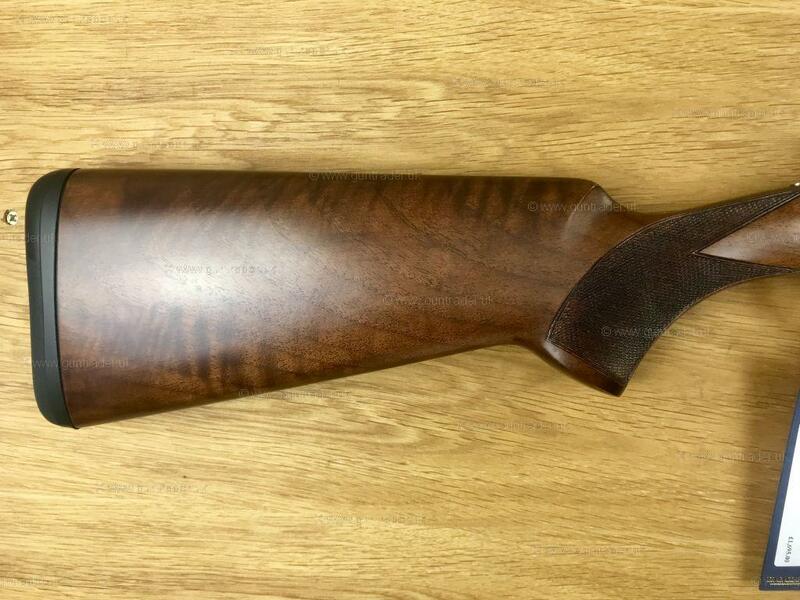 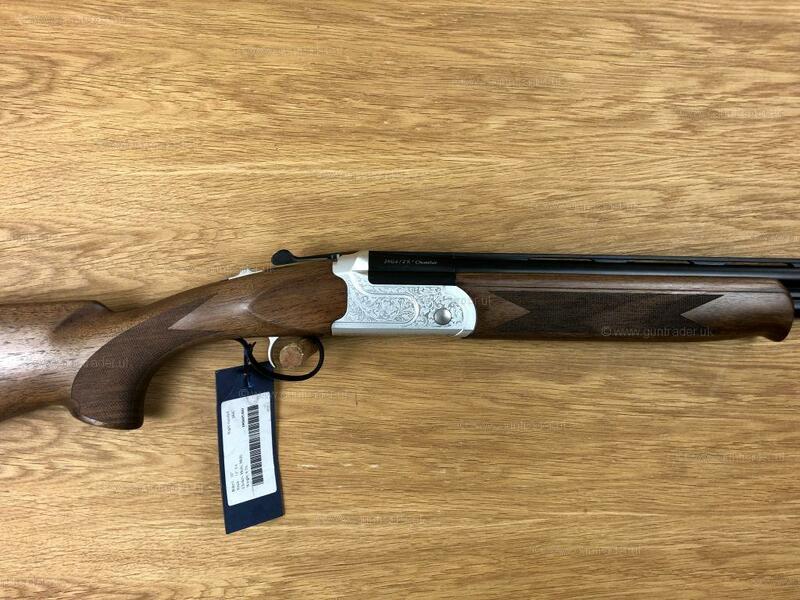 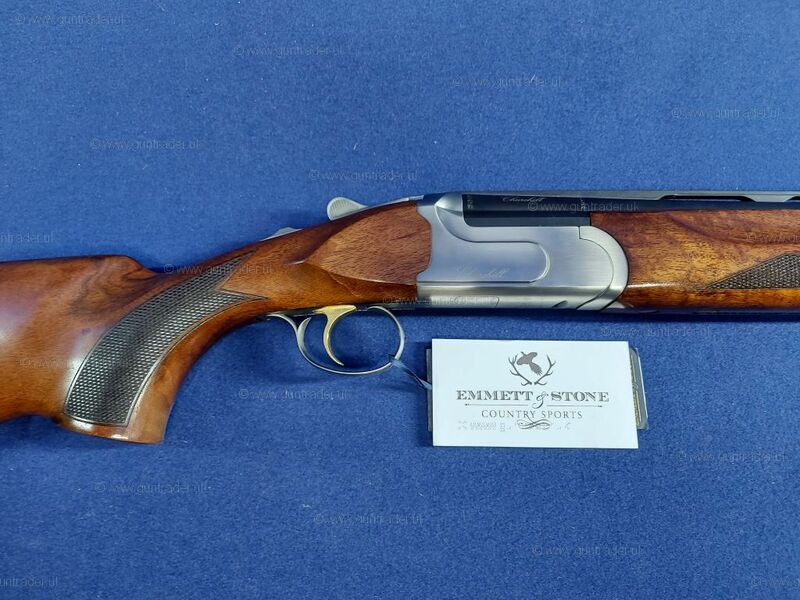 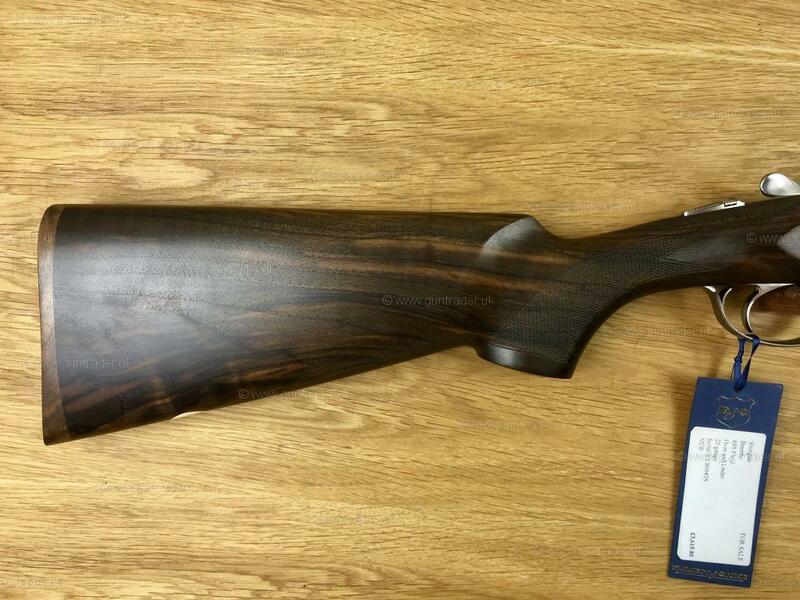 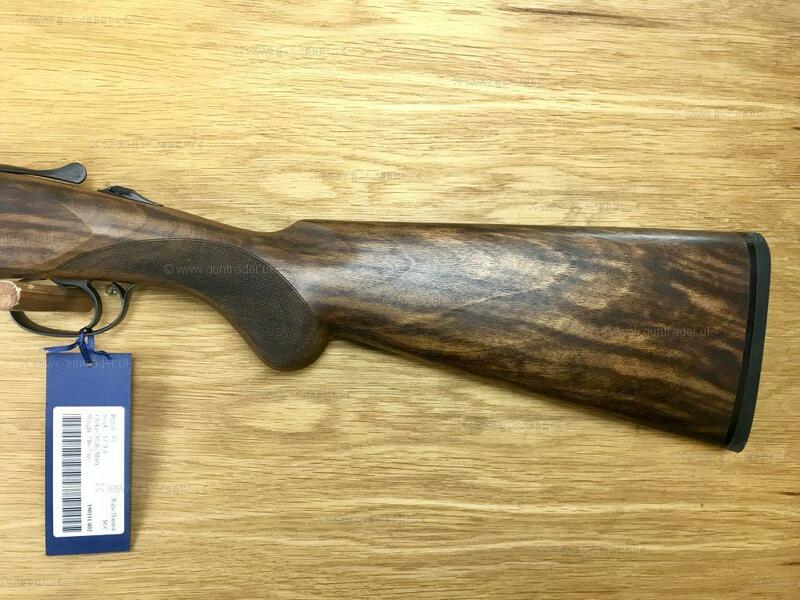 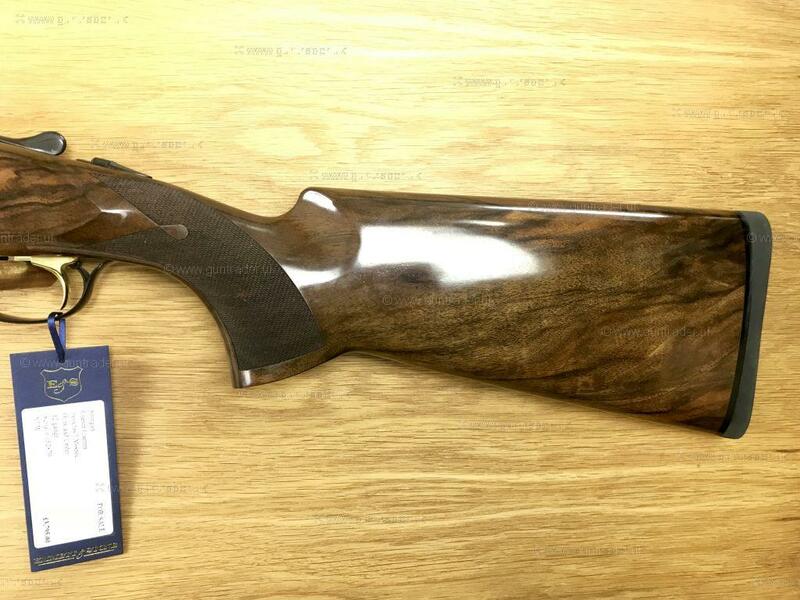 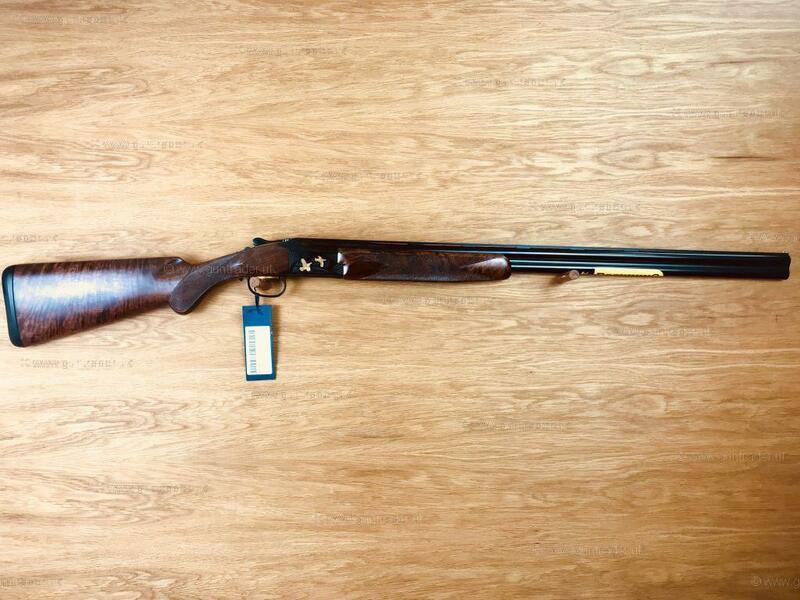 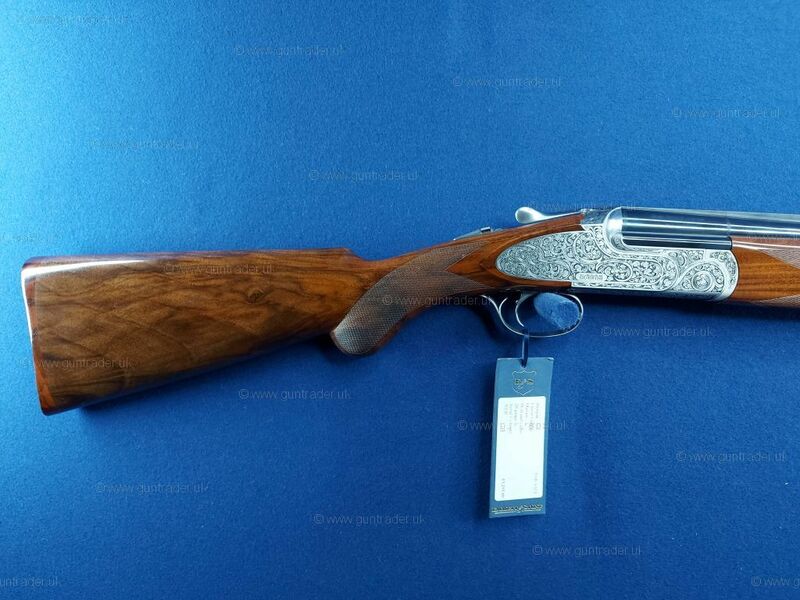 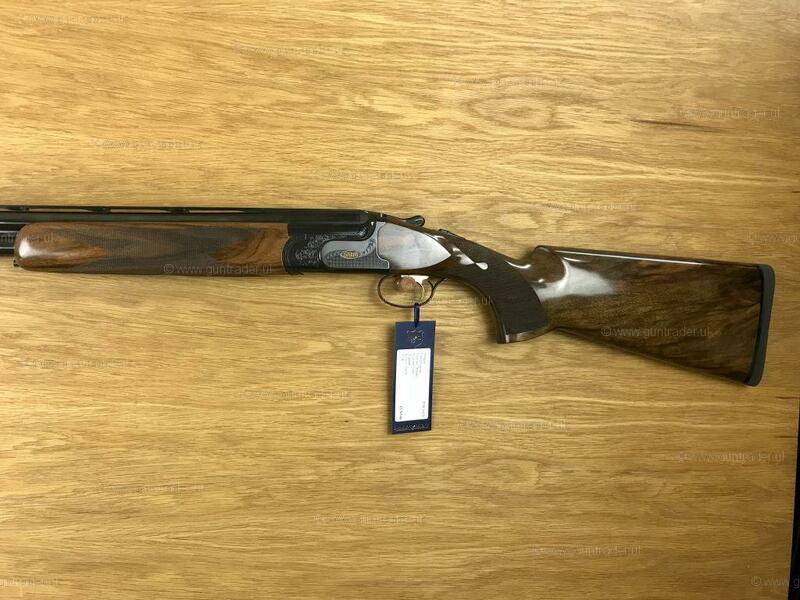 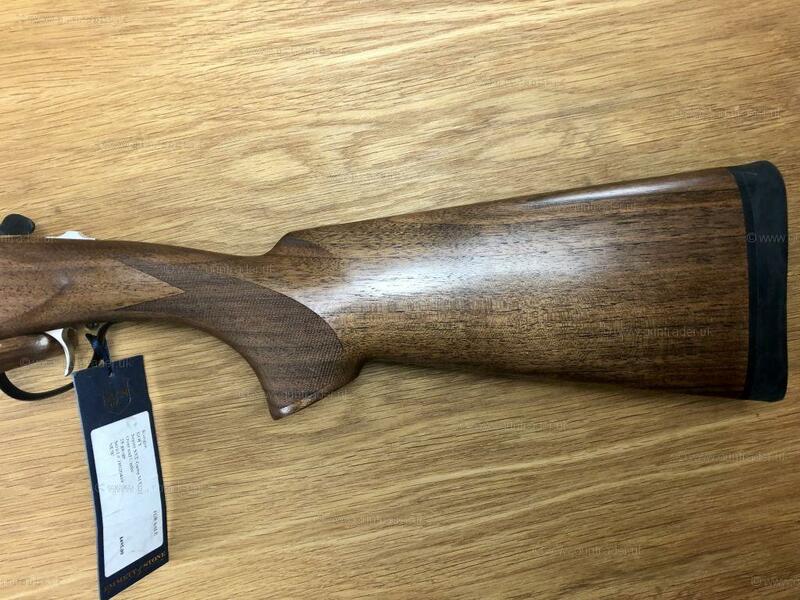 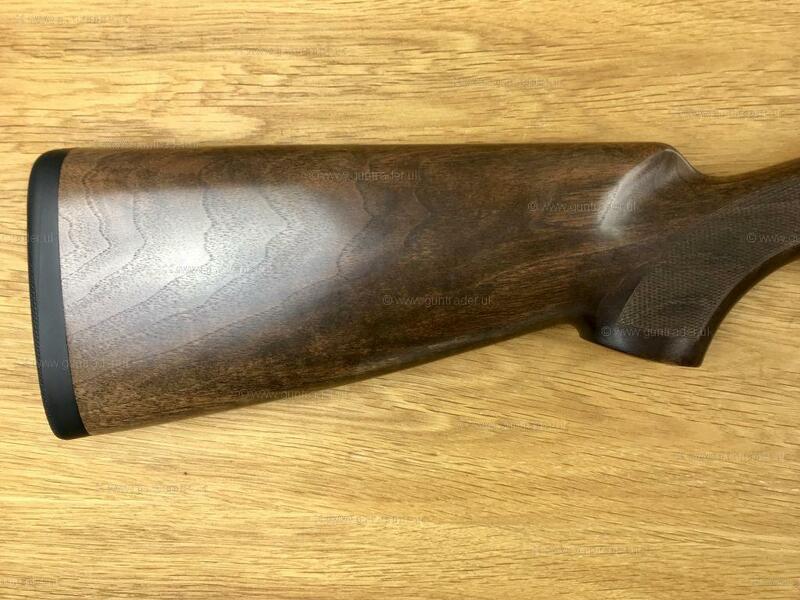 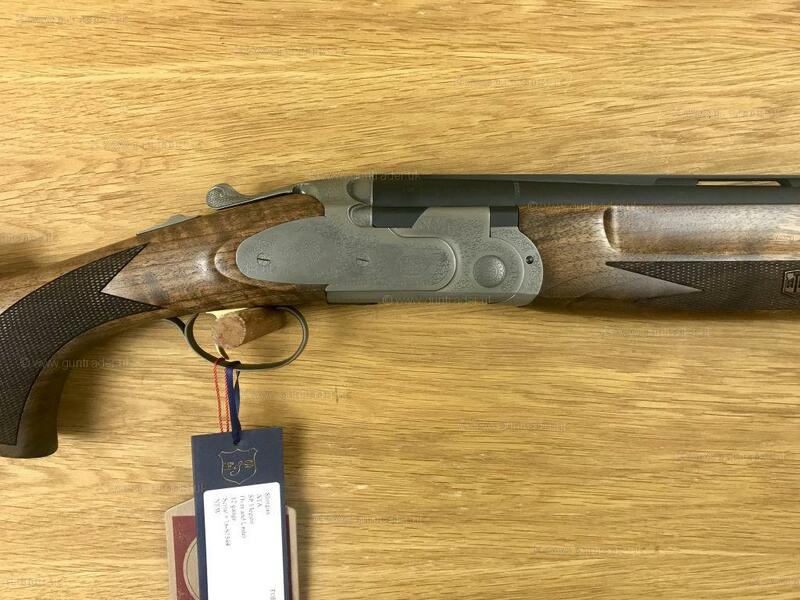 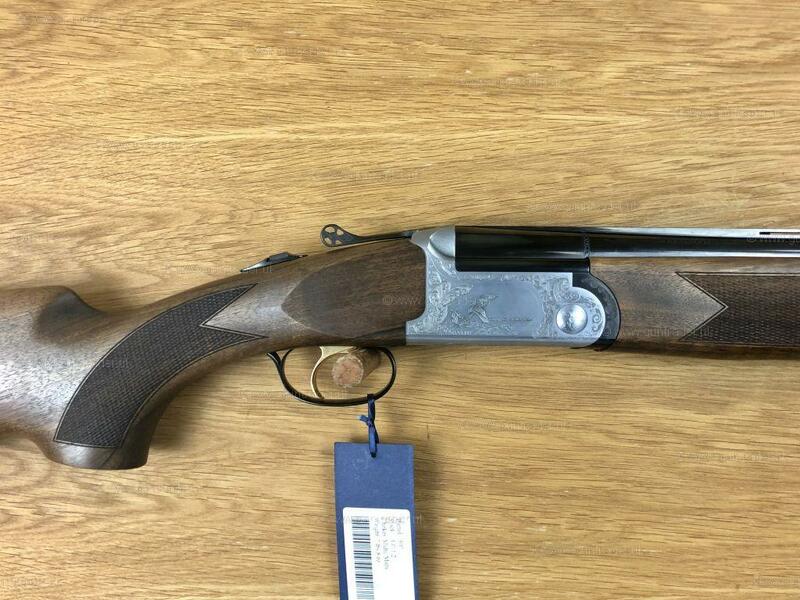 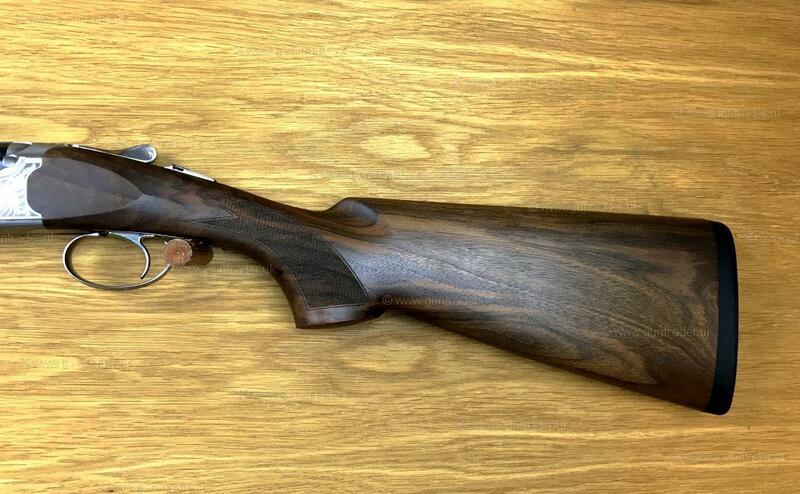 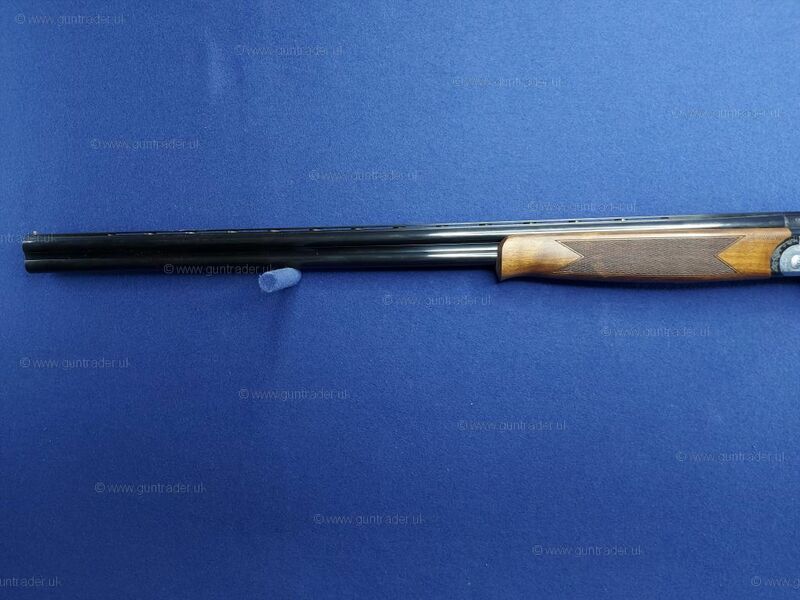 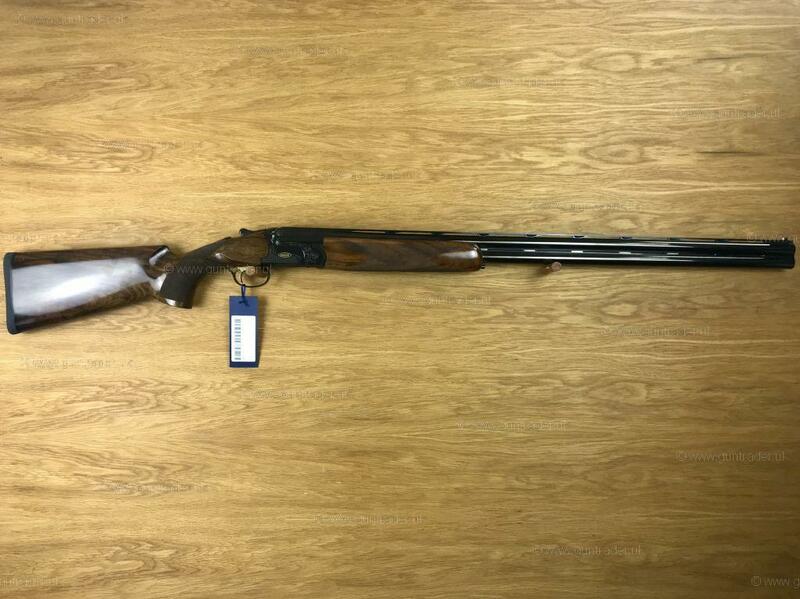 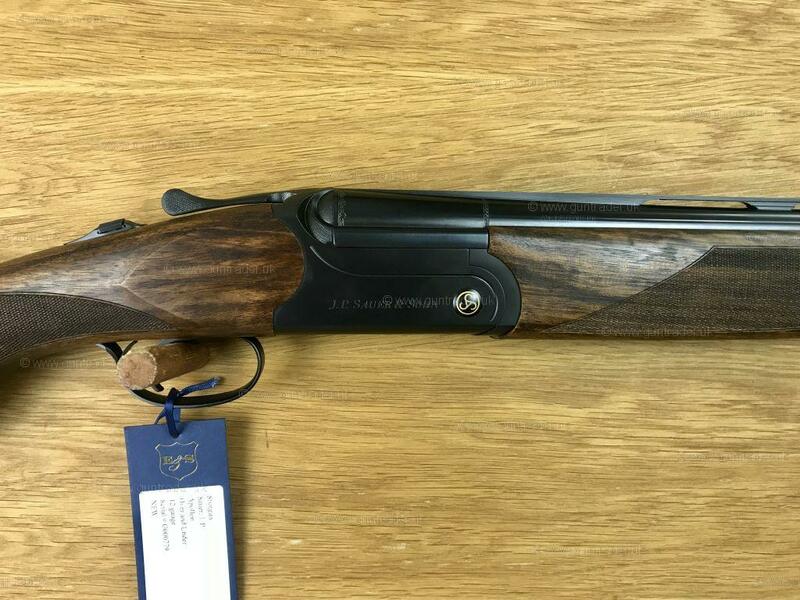 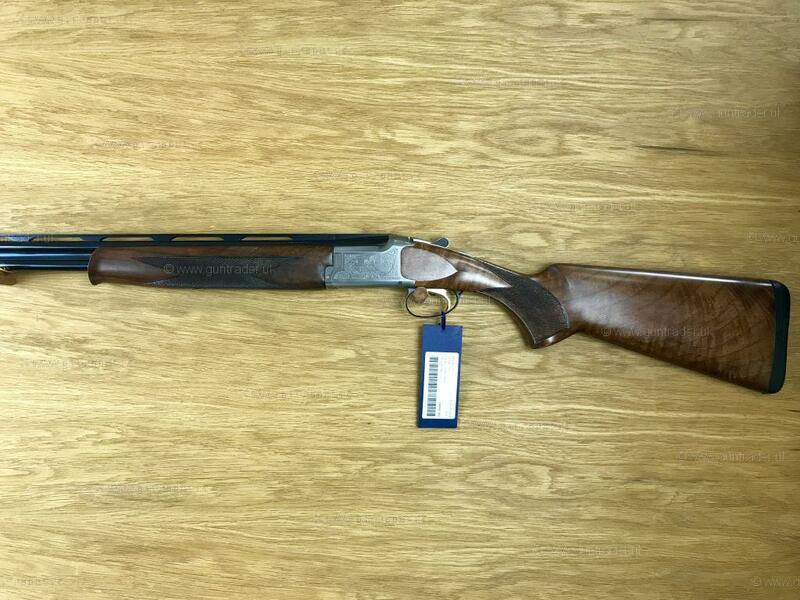 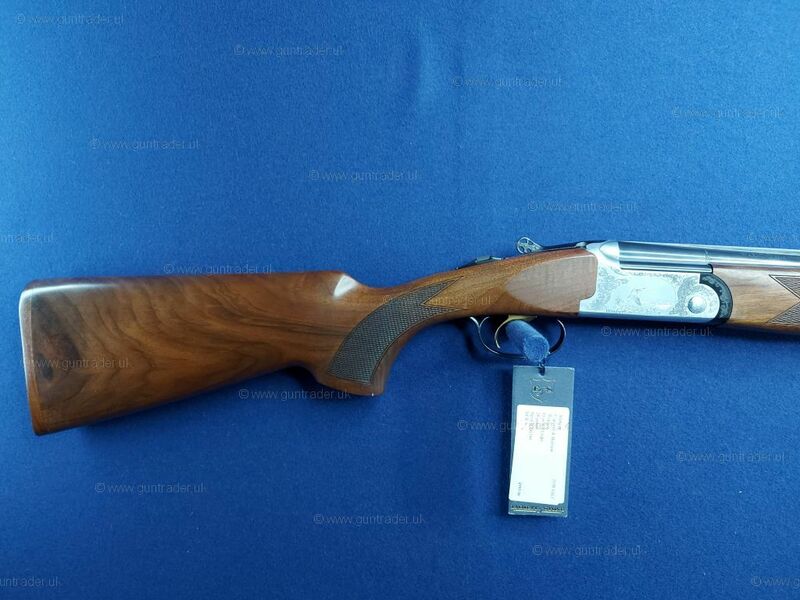 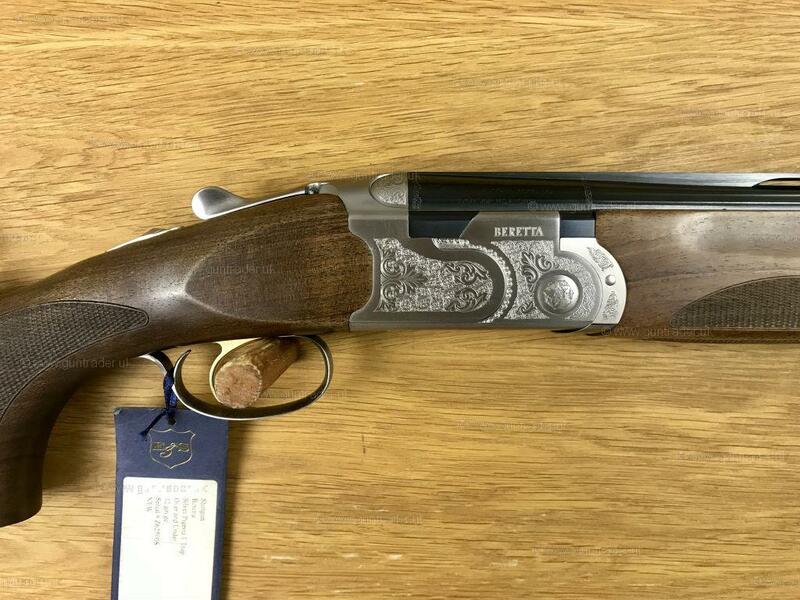 Here we have a brand new Beretta 687 EELL game gun. 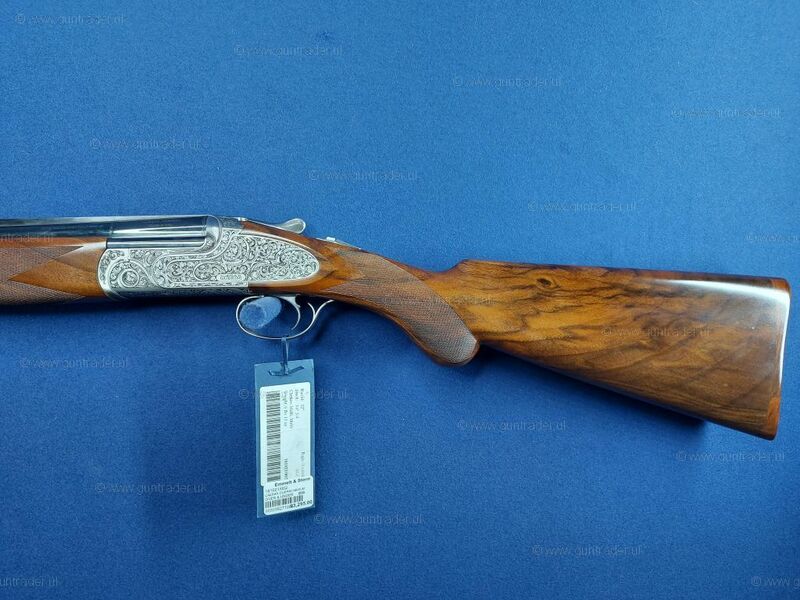 It is beautifully coin finished and engraved with a game scene featuring Pheasant & Woodcock. 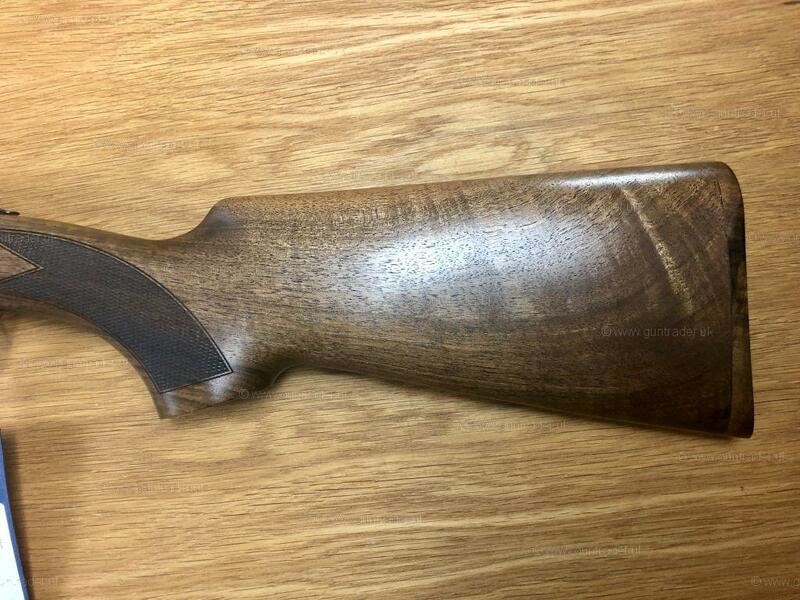 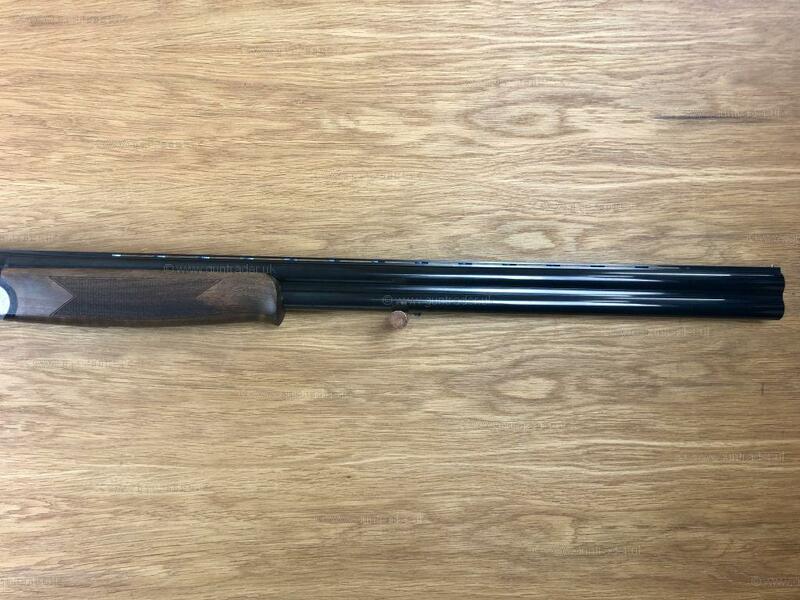 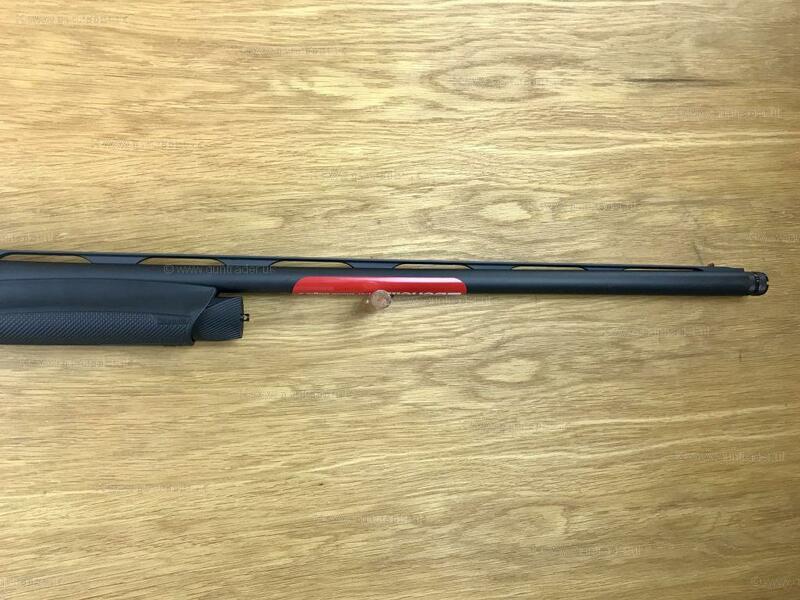 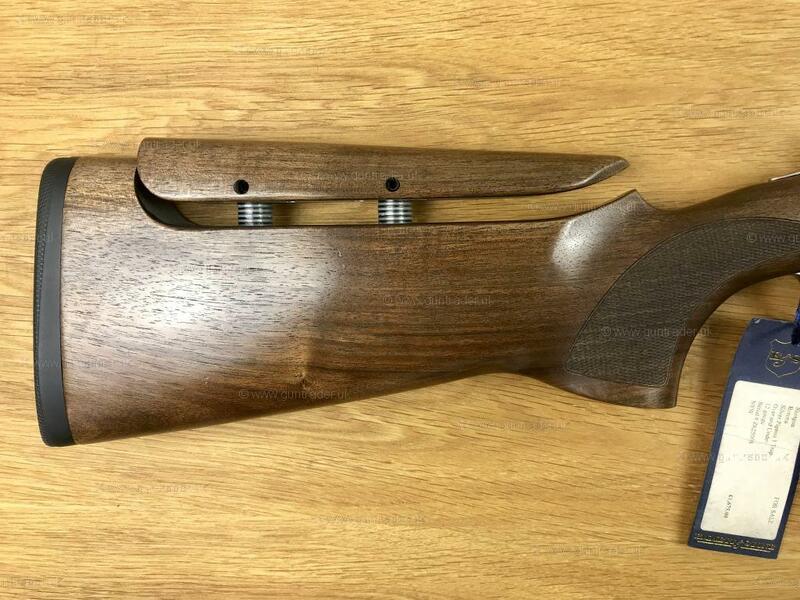 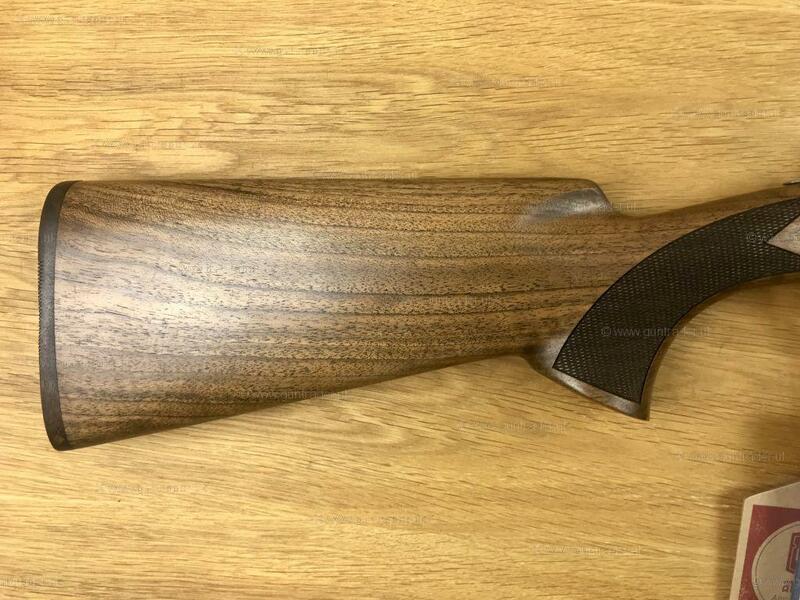 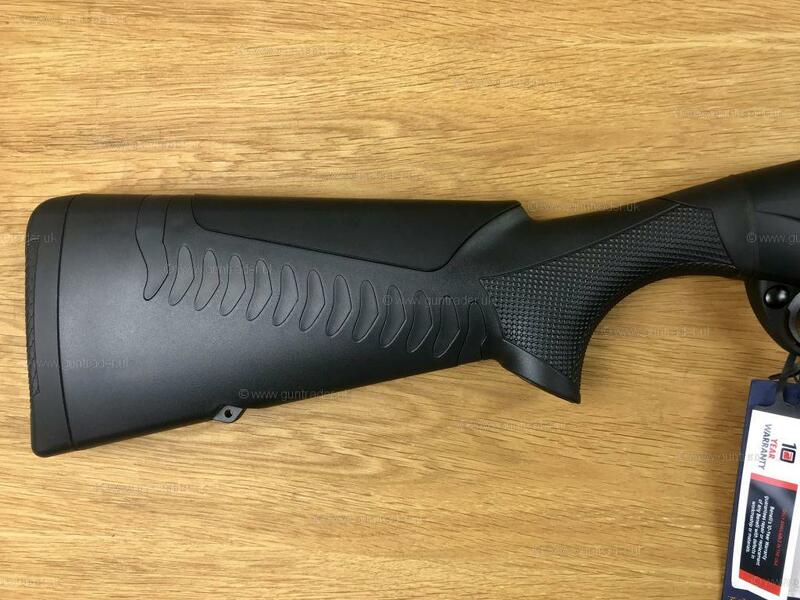 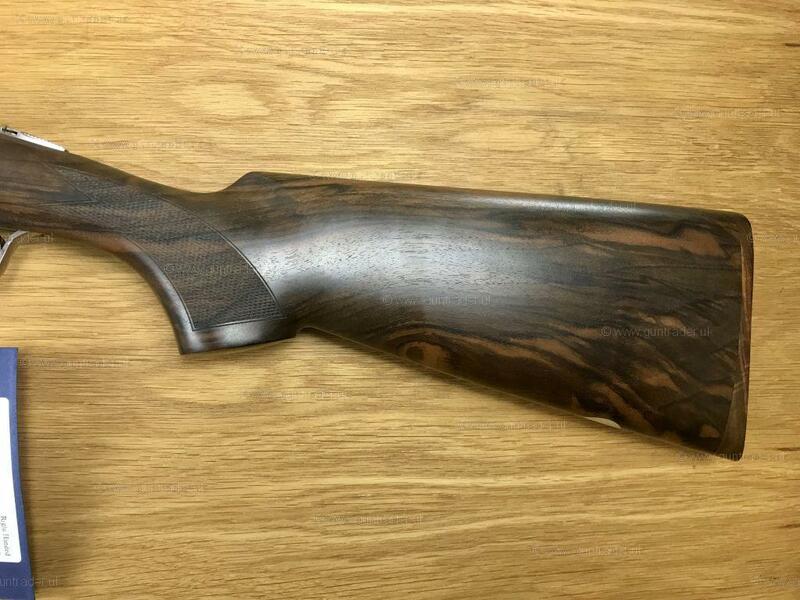 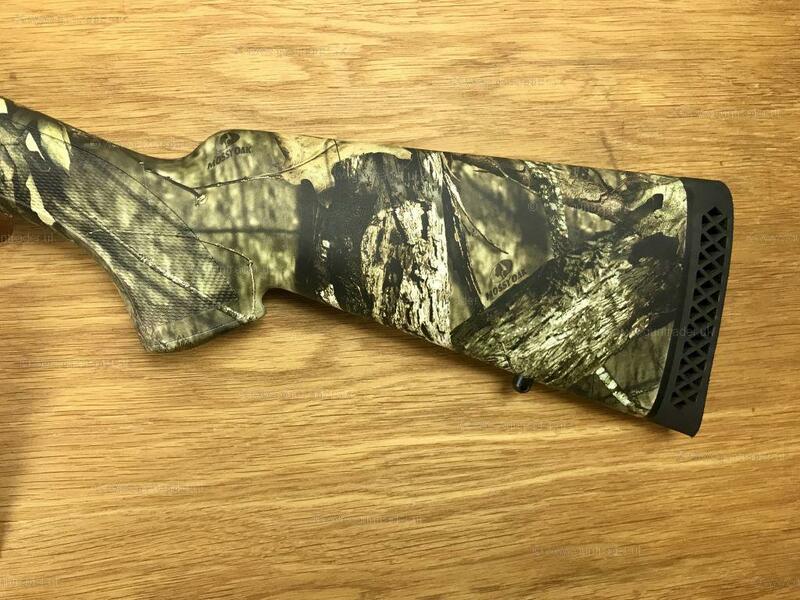 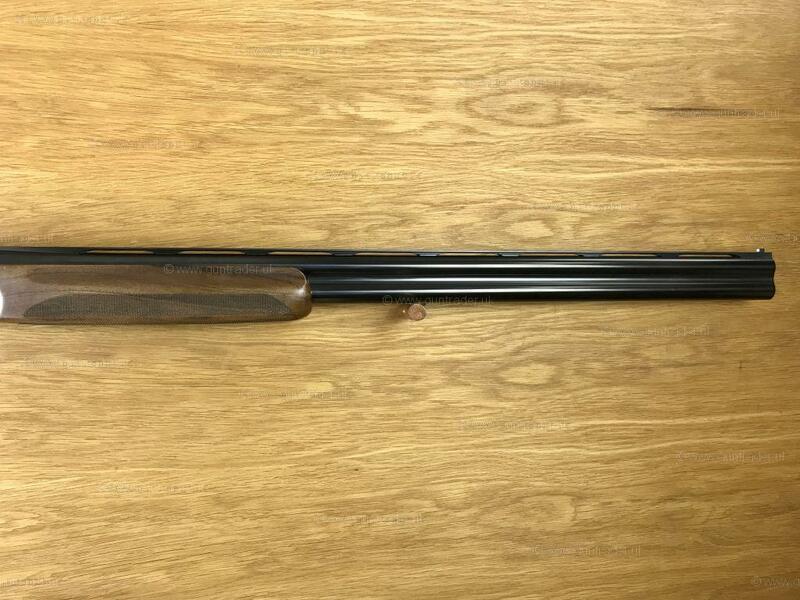 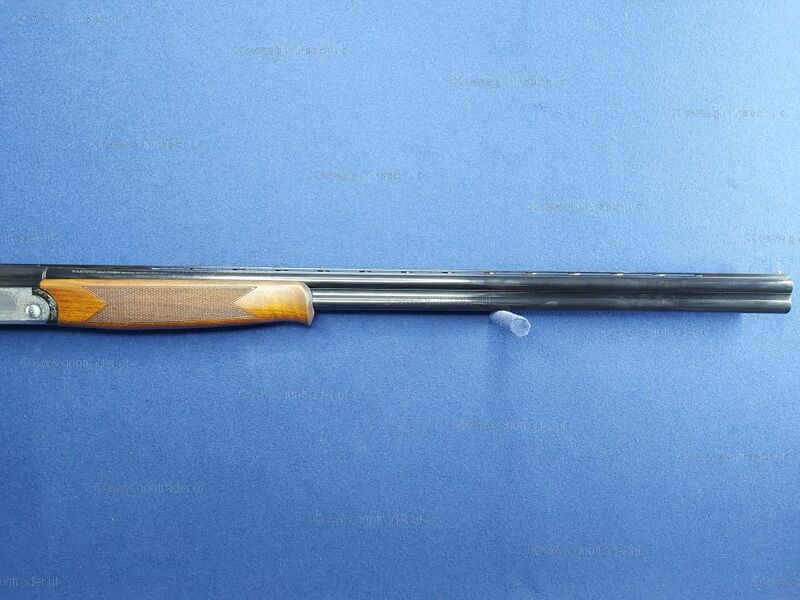 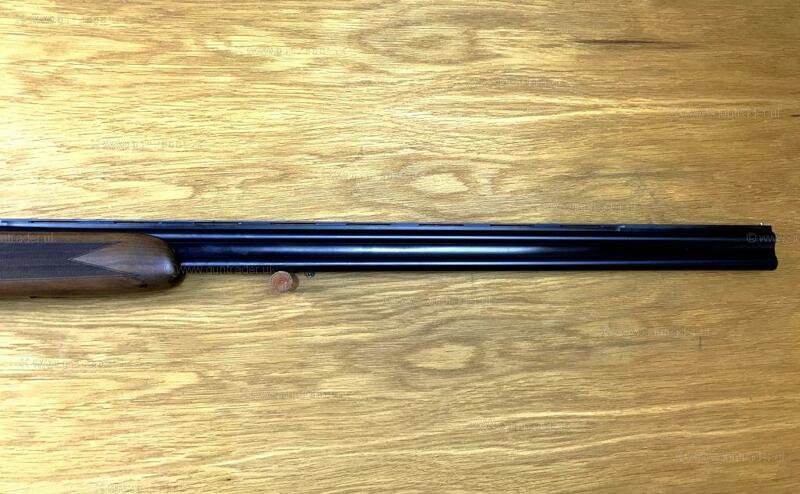 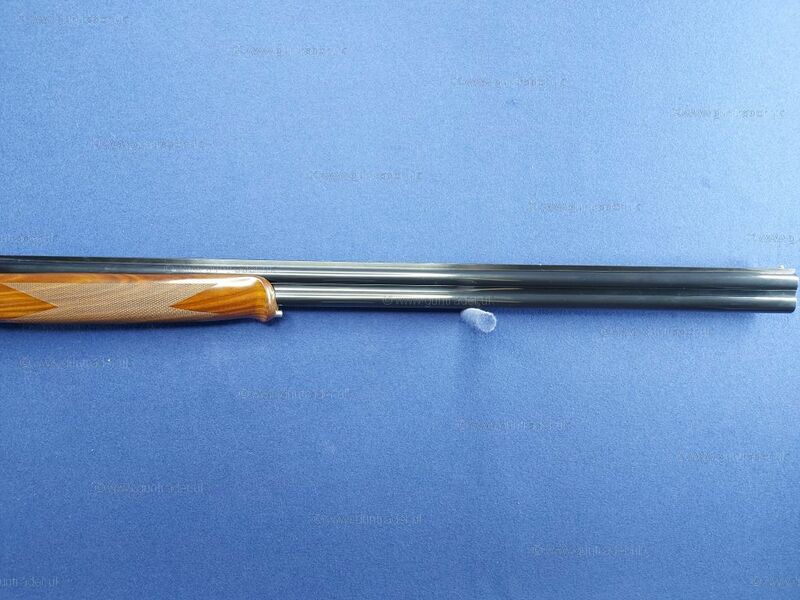 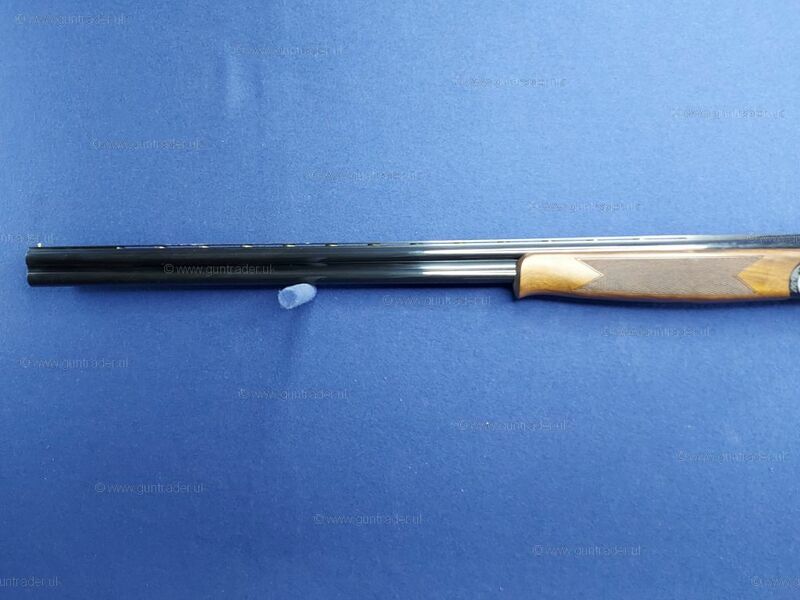 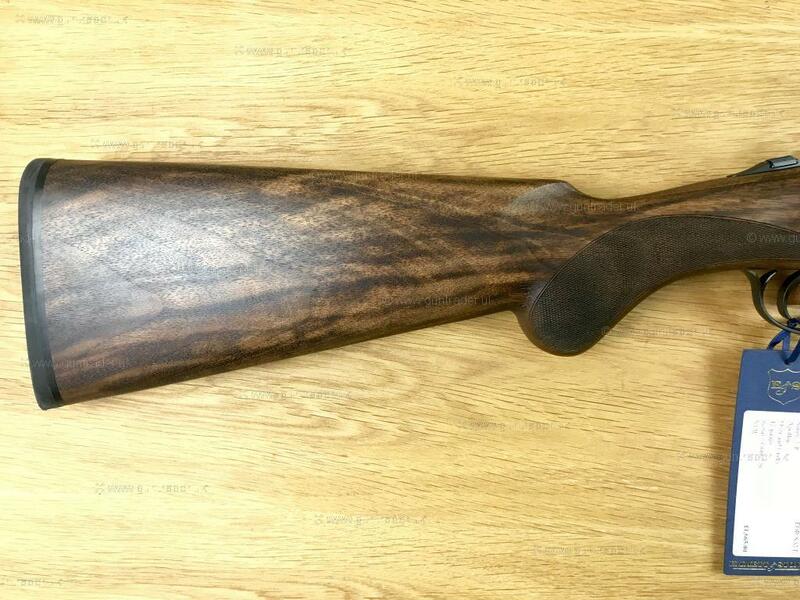 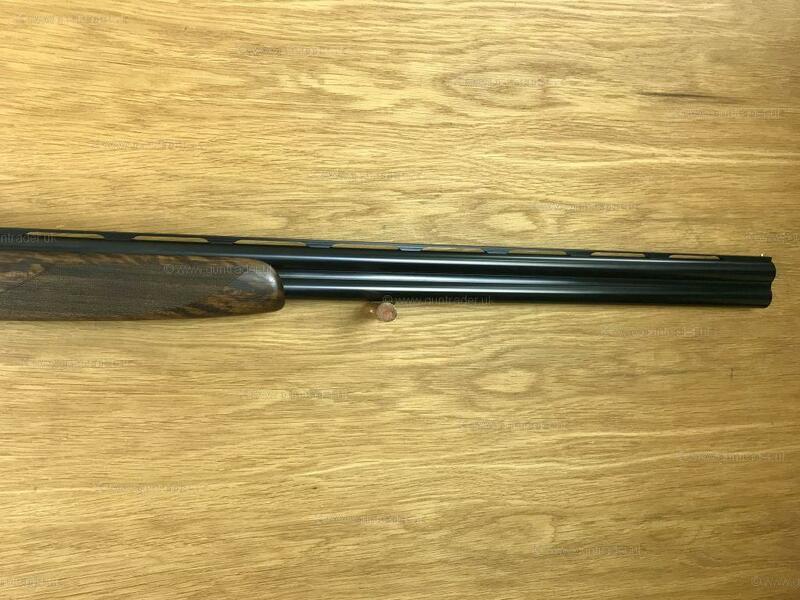 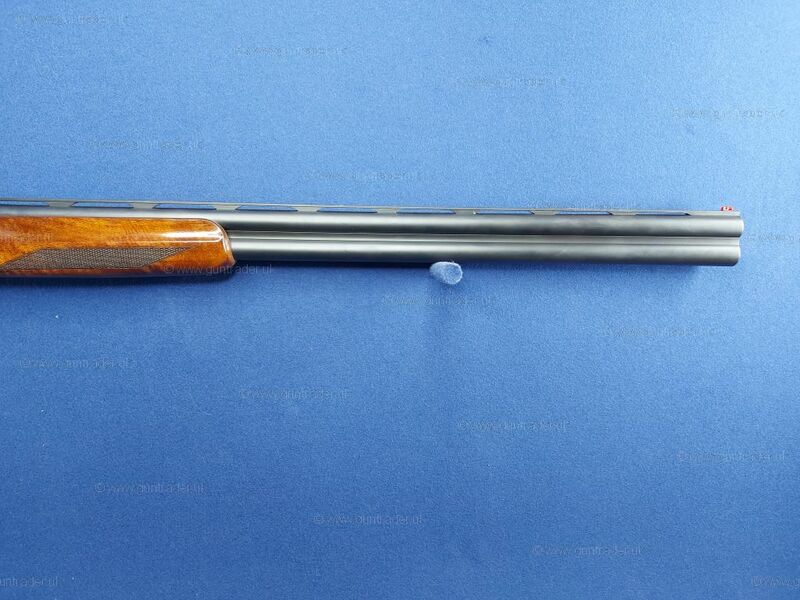 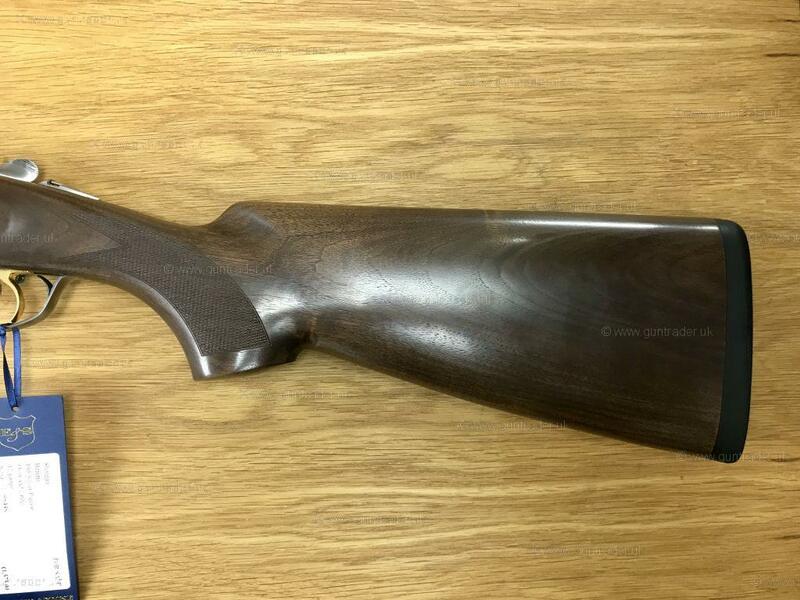 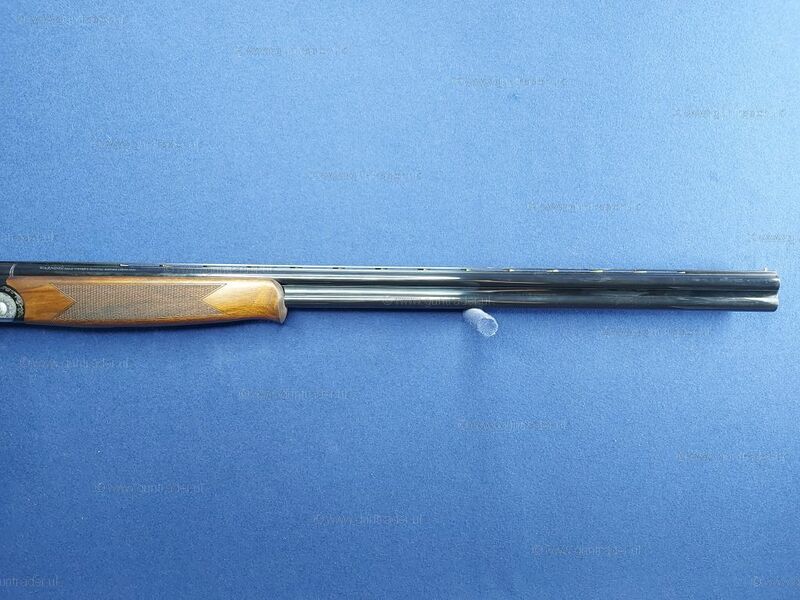 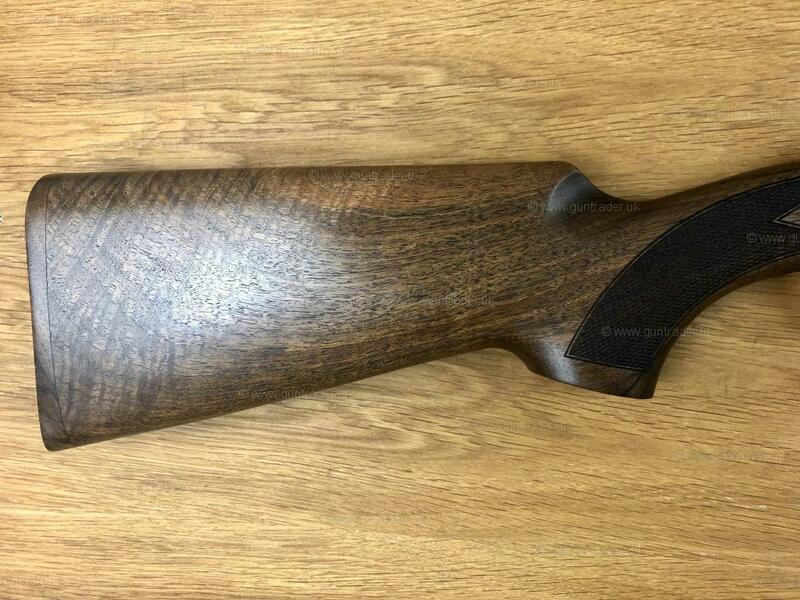 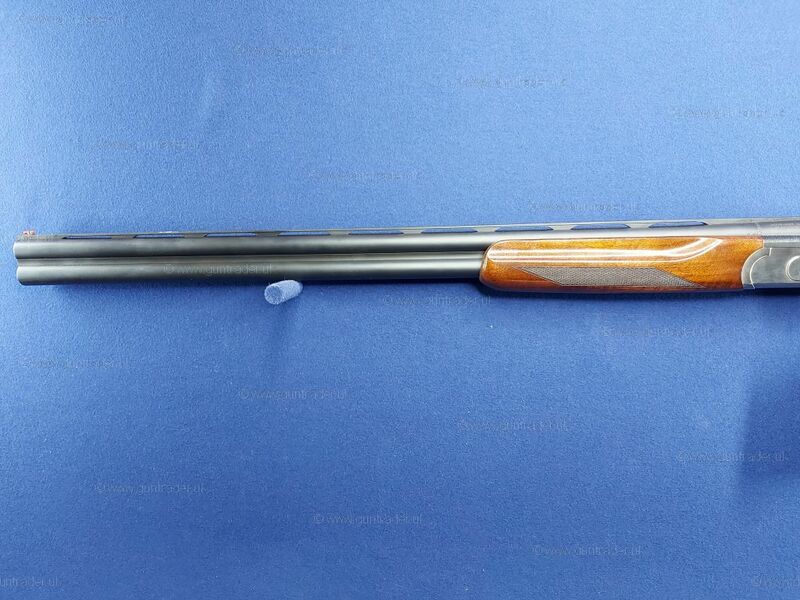 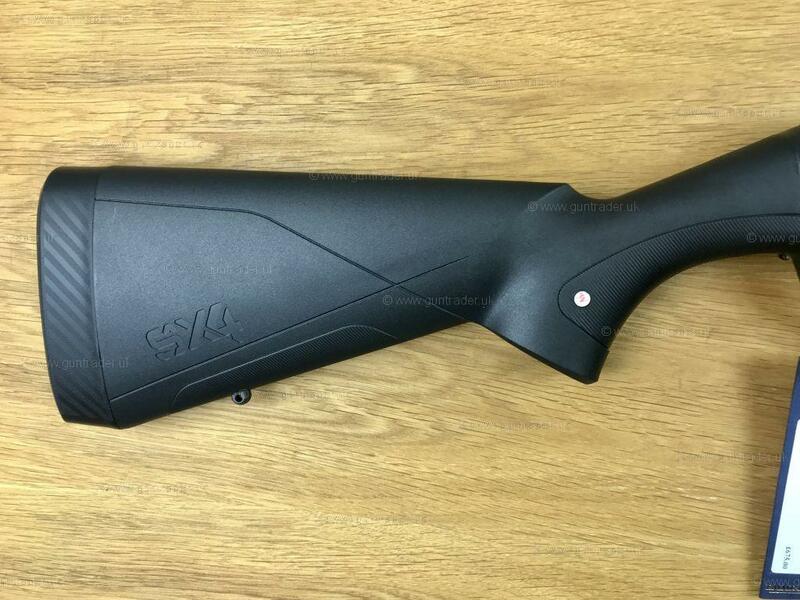 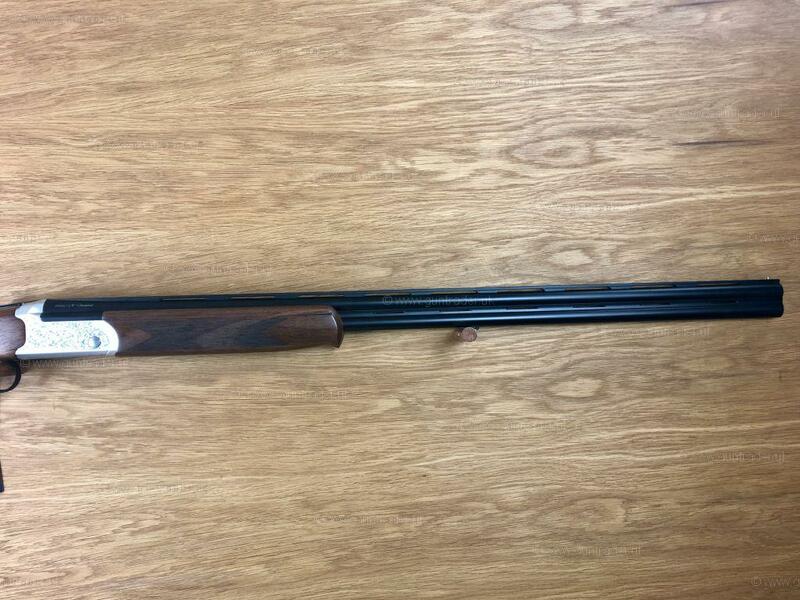 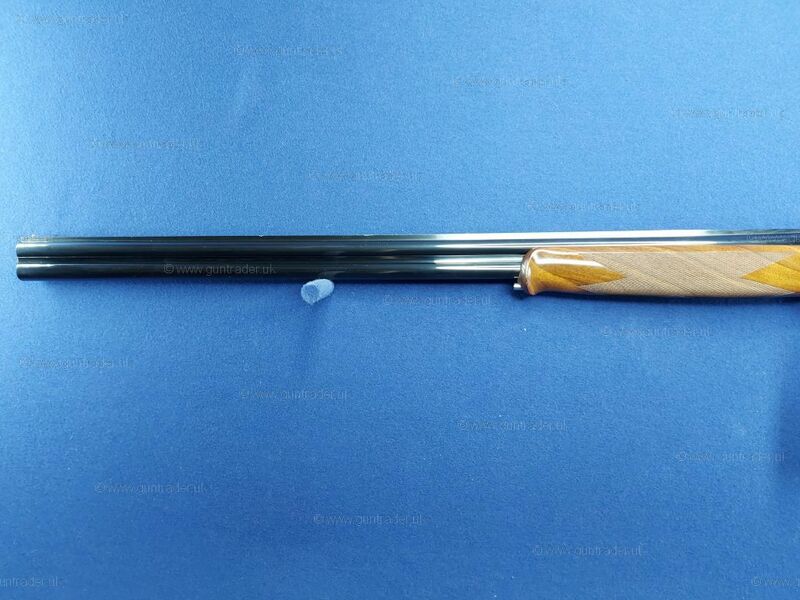 It features an elegantly figured 14 3/4" stock, the Barrels are 30" with 3" chambers and are proofed for steel shot. 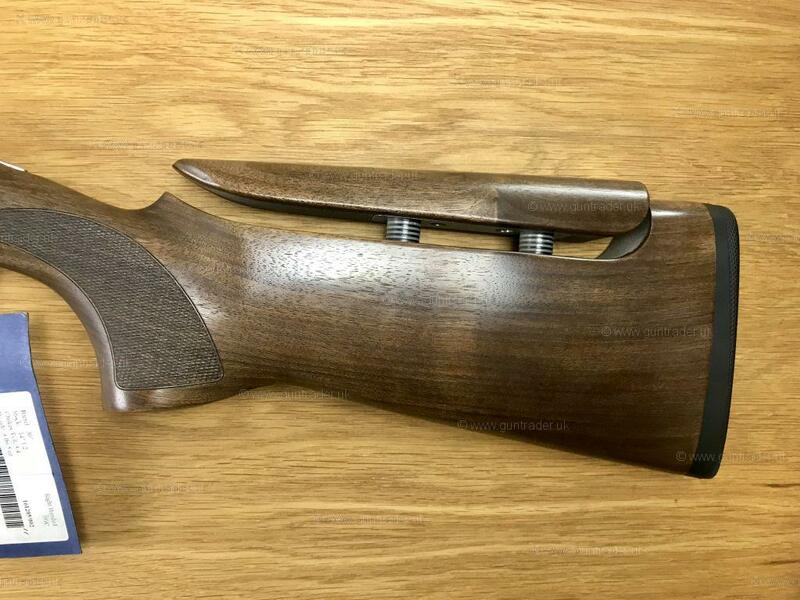 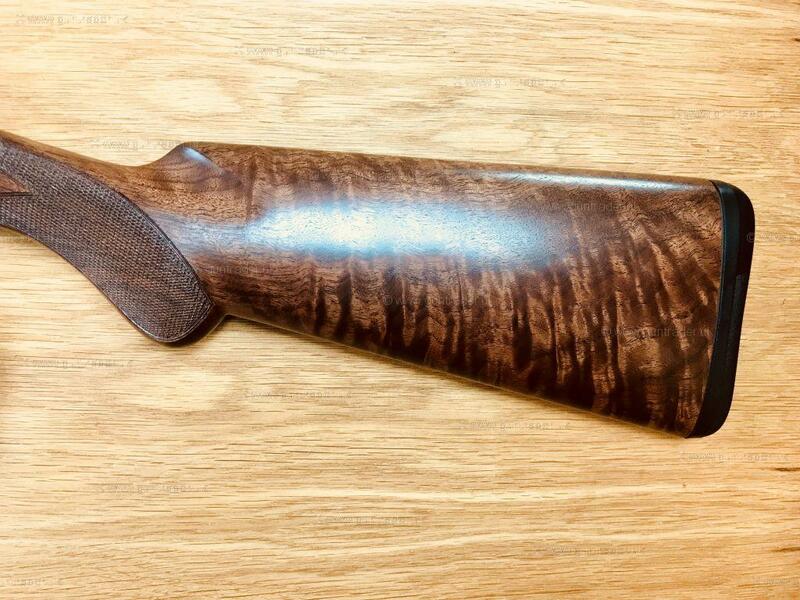 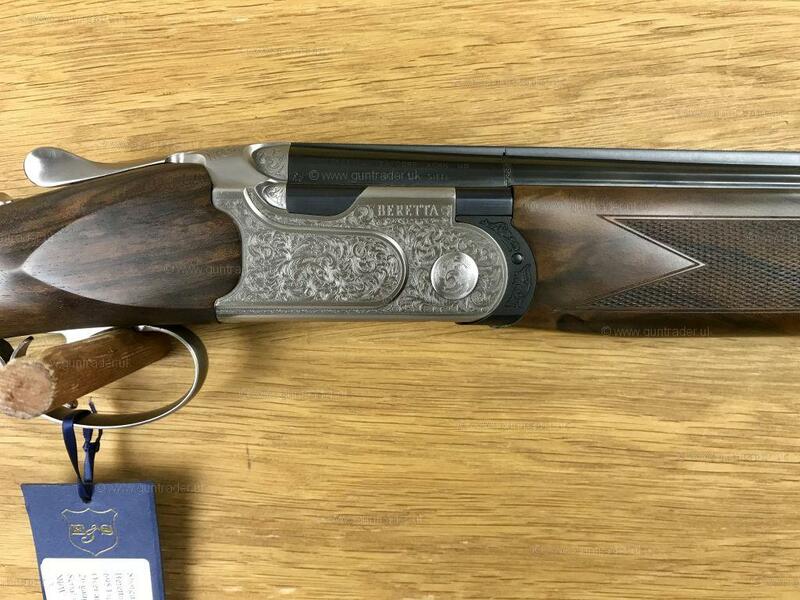 This is Ceasar Guerini's brand new, top of the line competition gun. 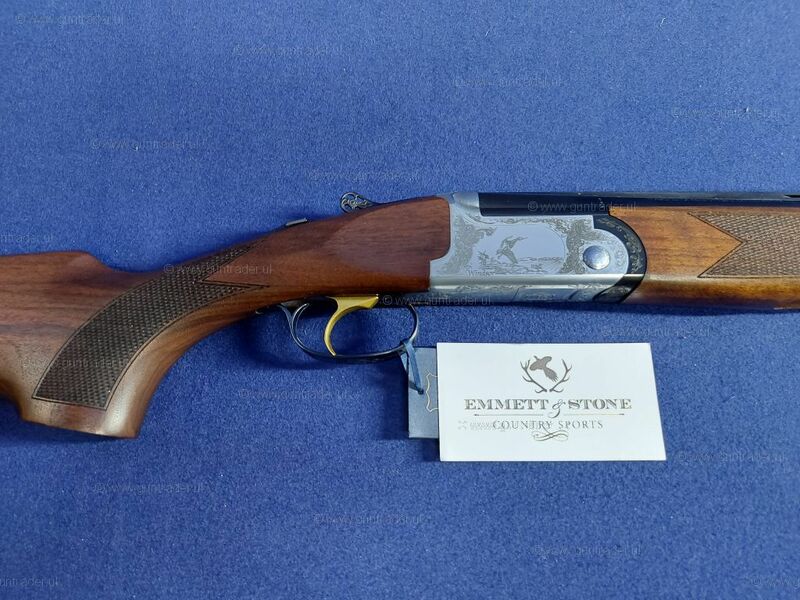 It boasts all of the characteristics that you would expect from a high grade competition gun as well as a few unusual extras. 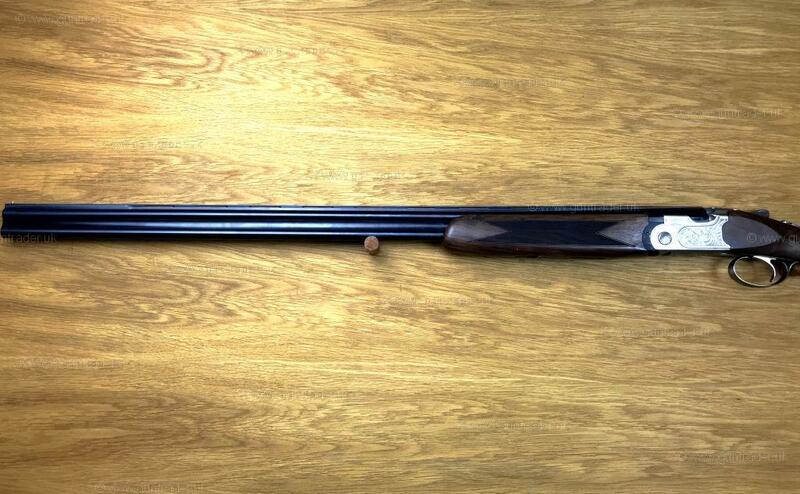 For example the top rib tapers down from 10mm at the breach down to 6mm at the end of the barrel. 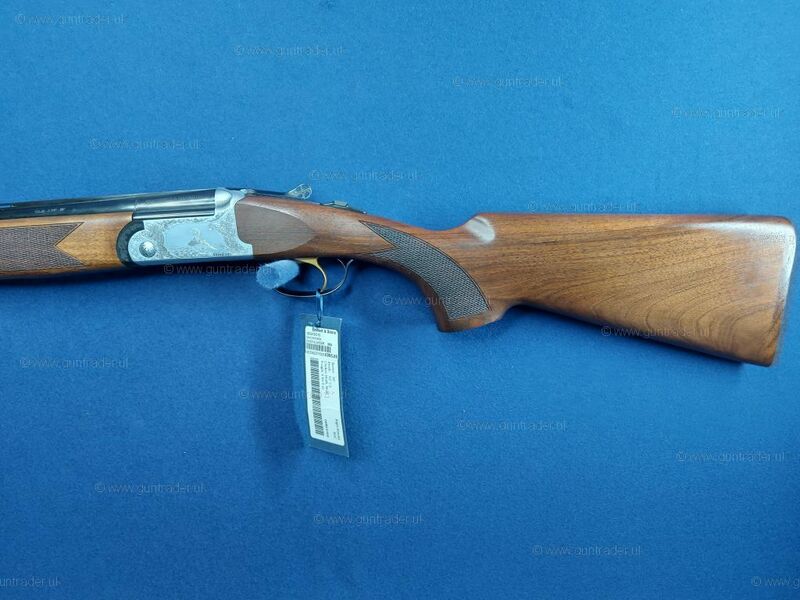 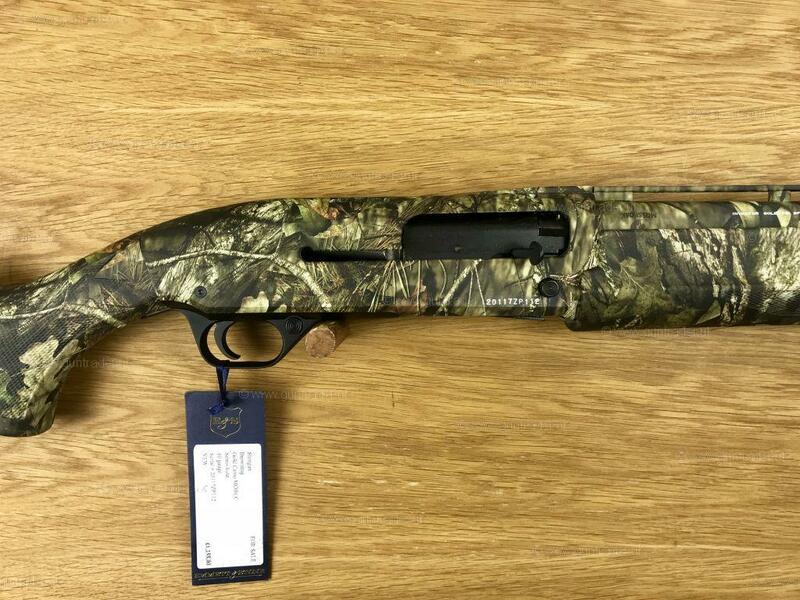 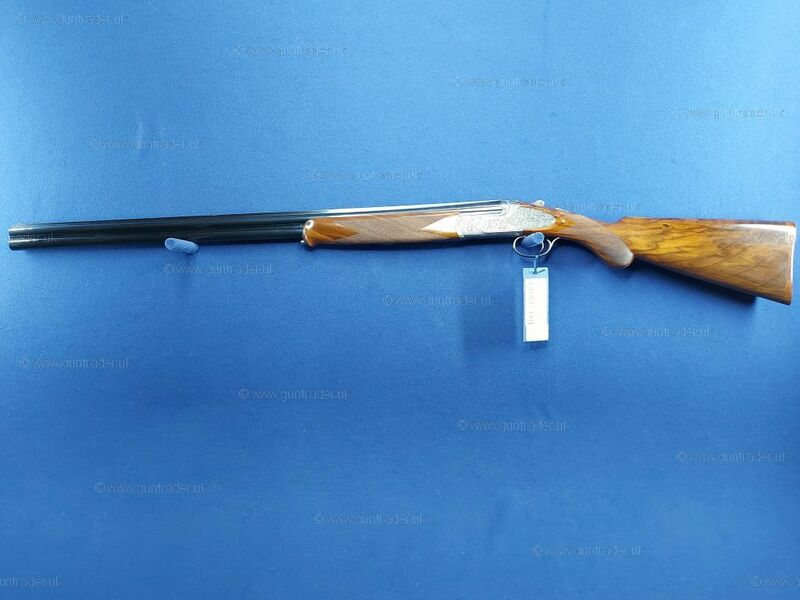 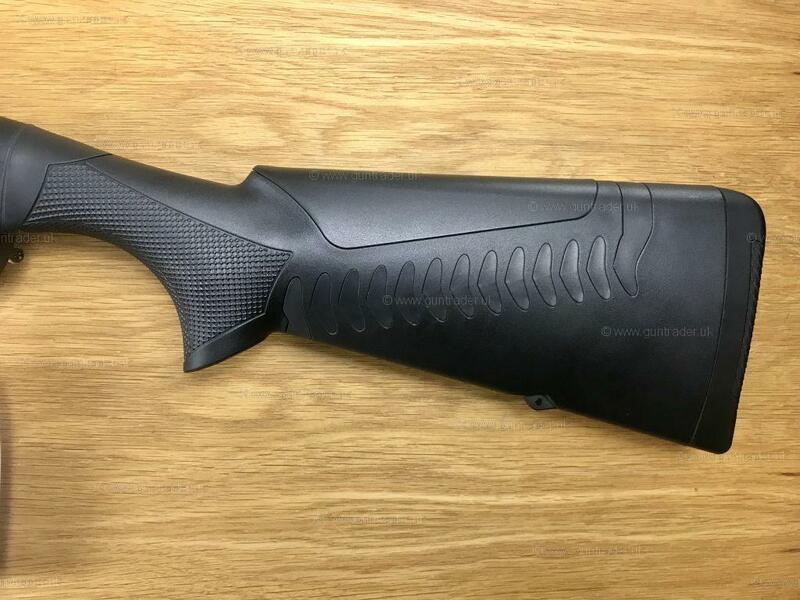 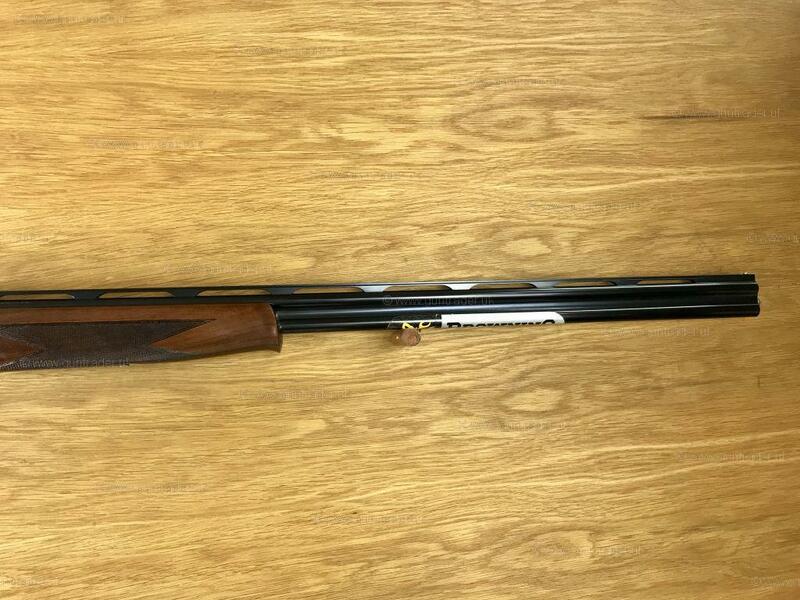 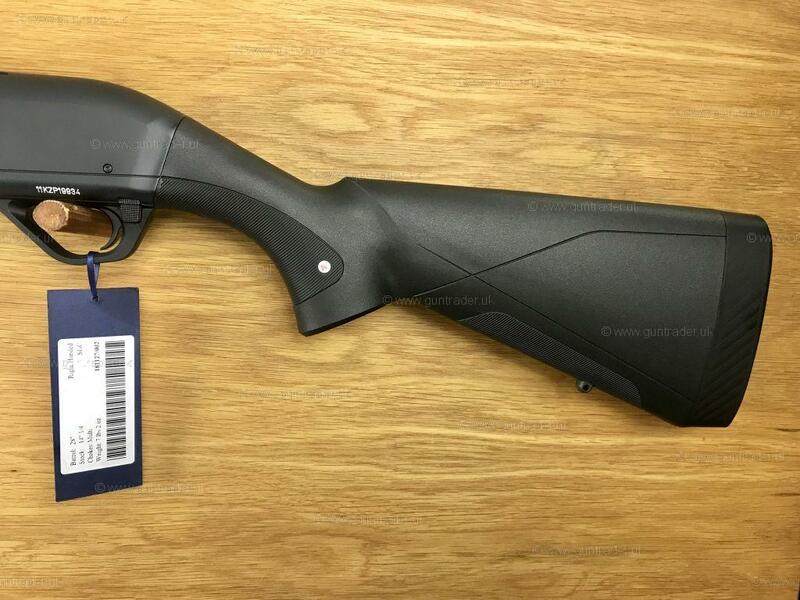 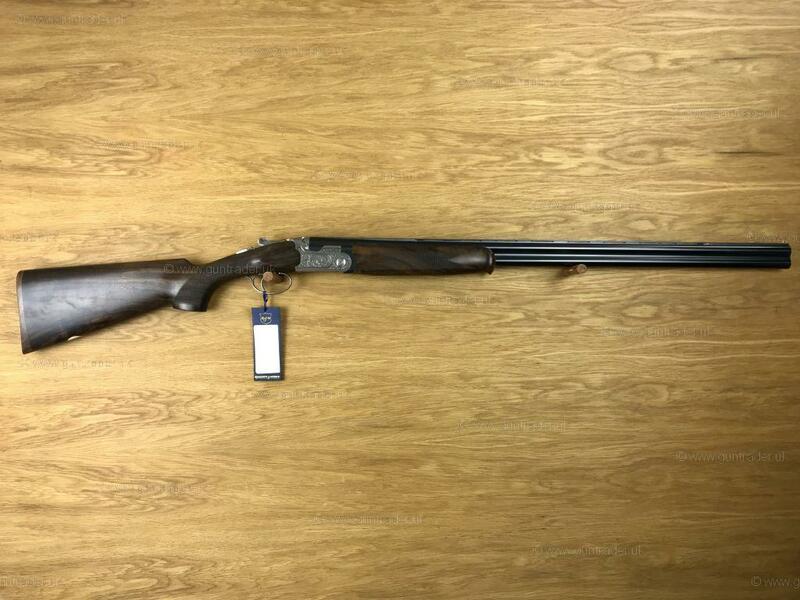 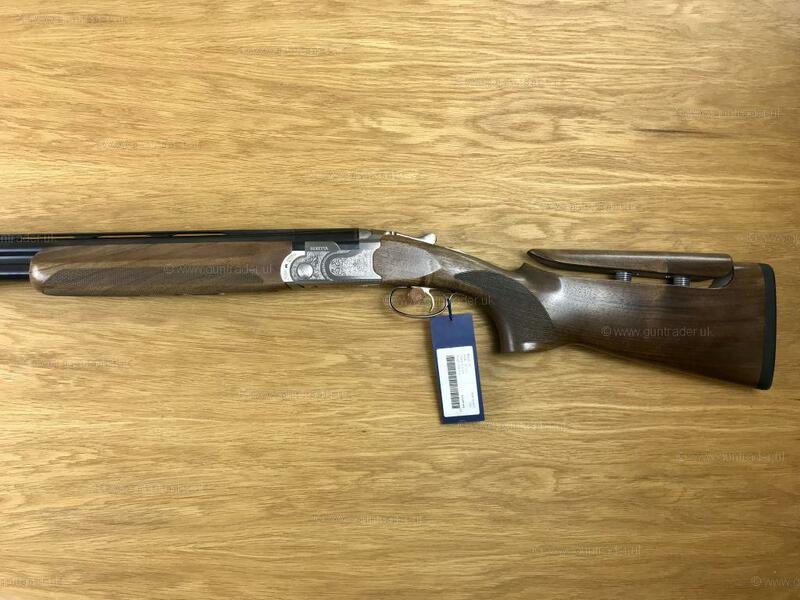 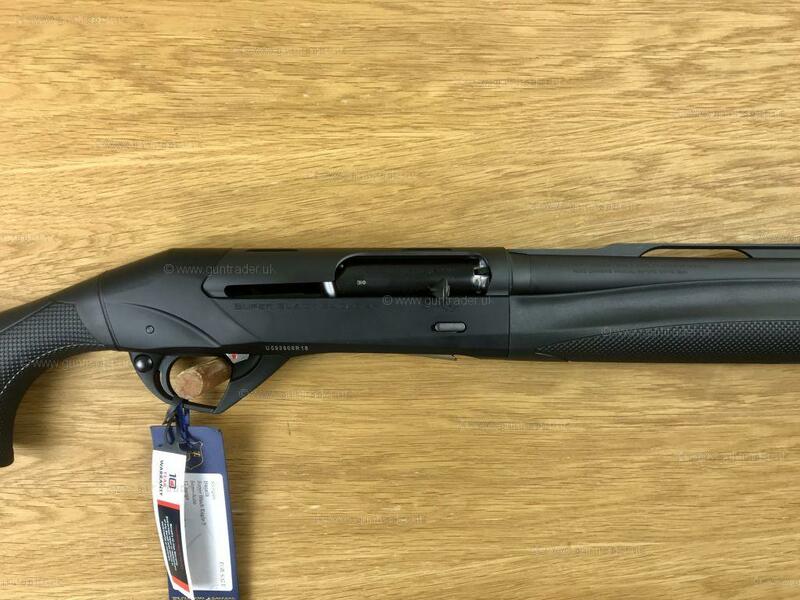 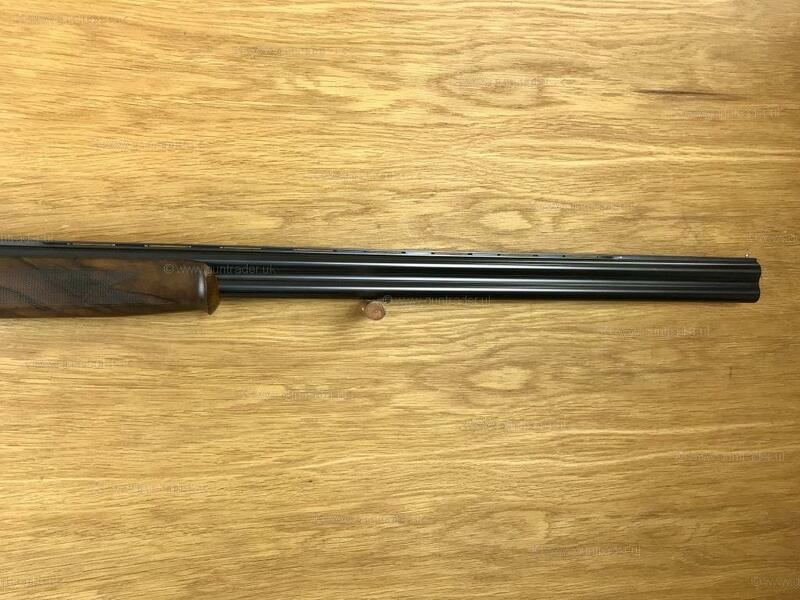 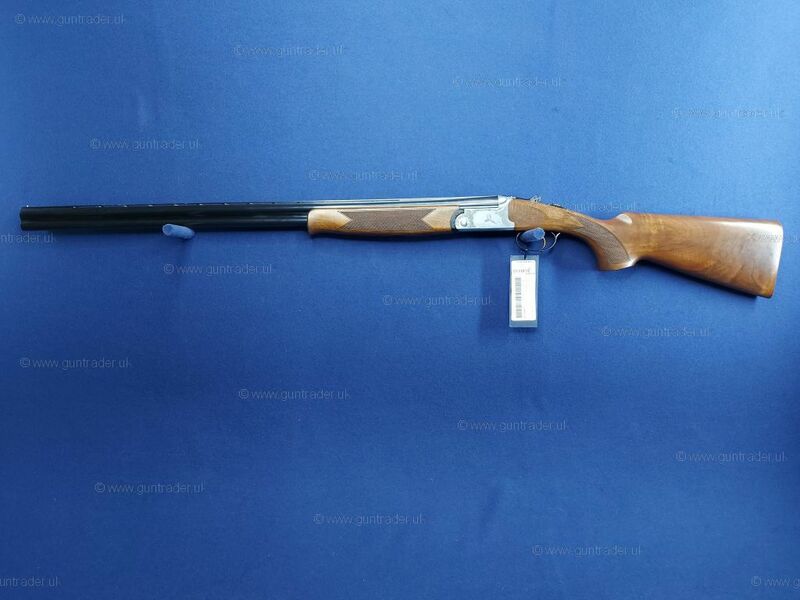 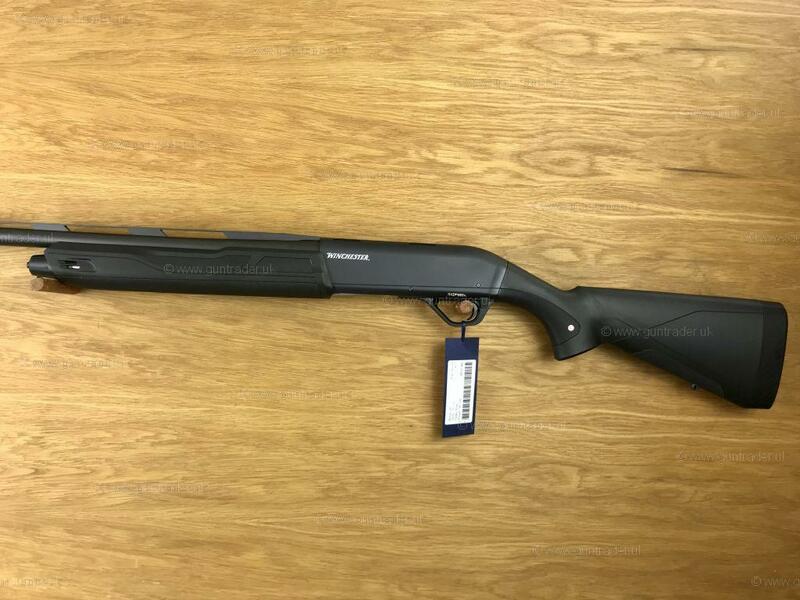 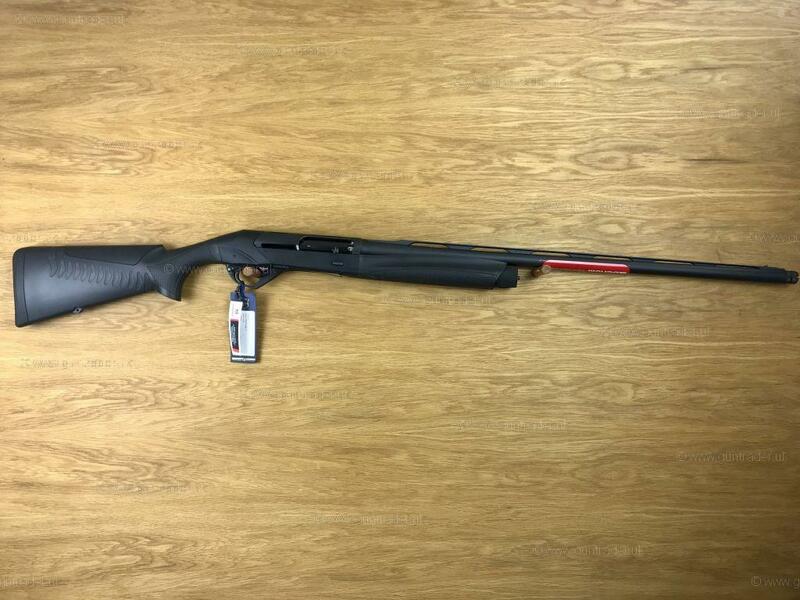 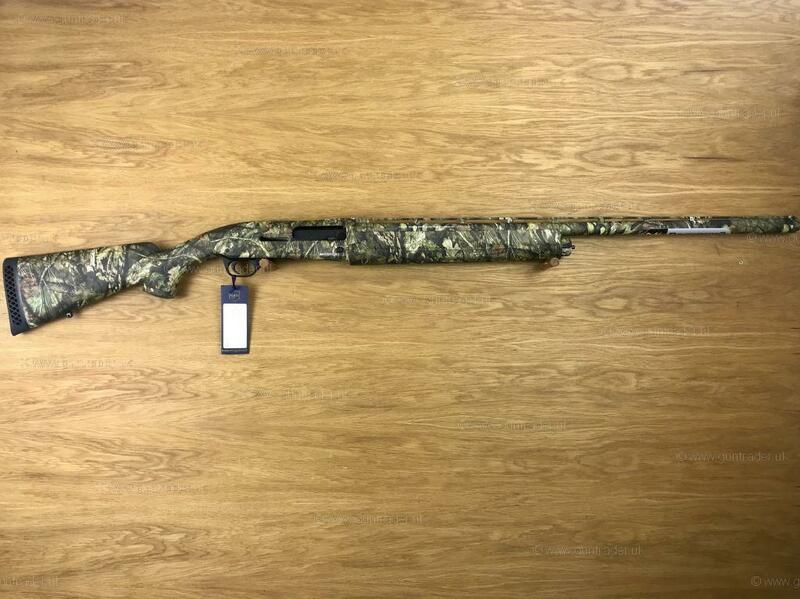 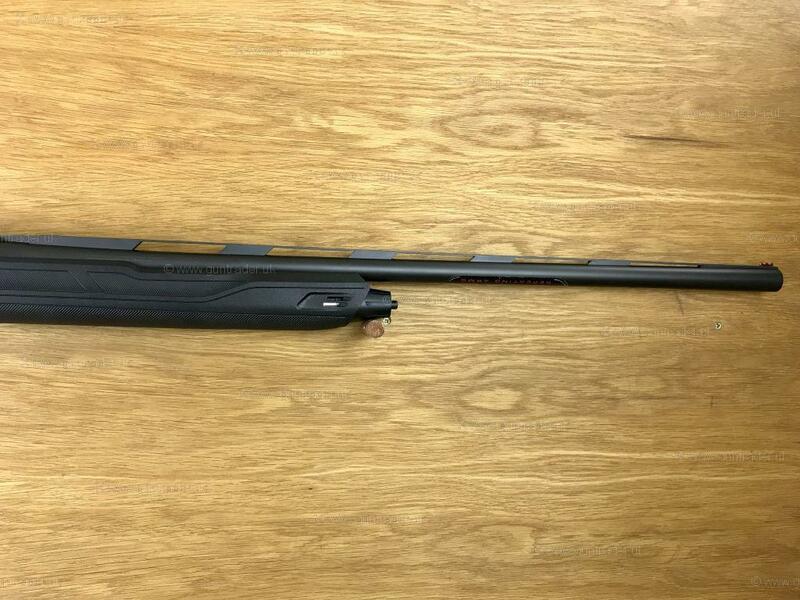 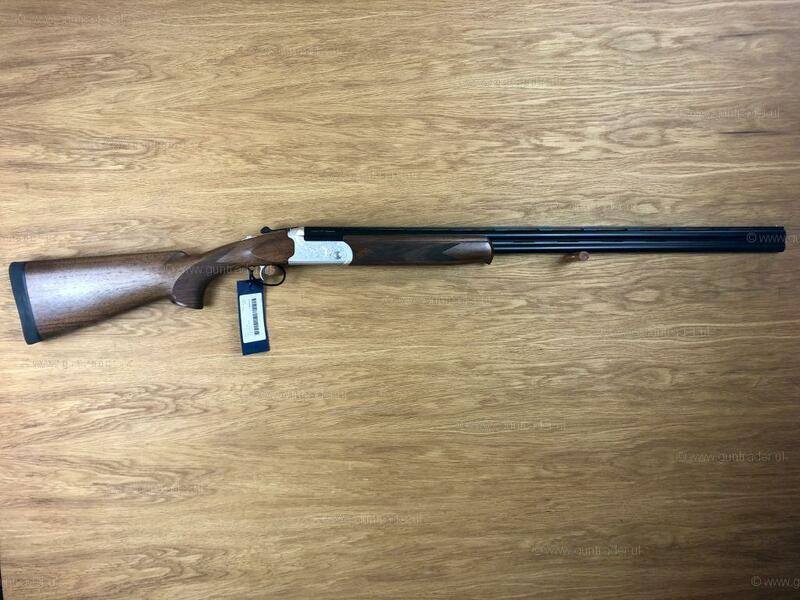 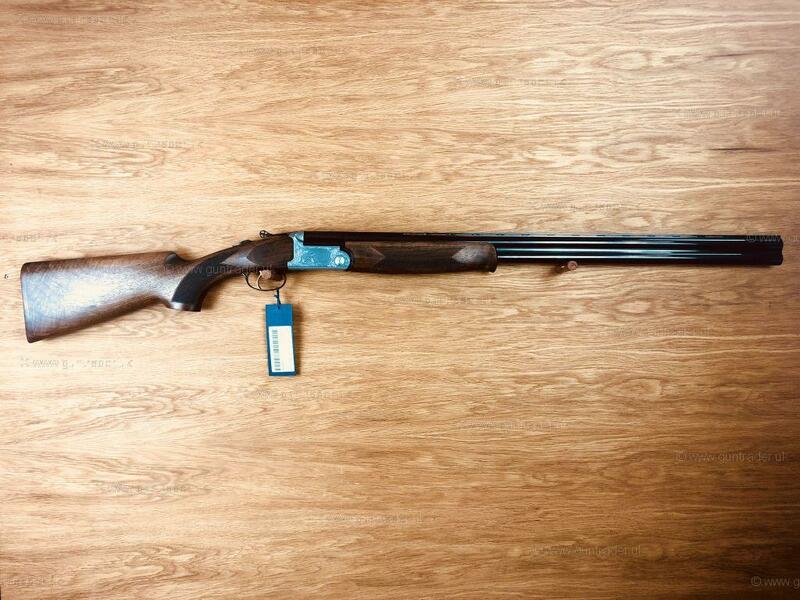 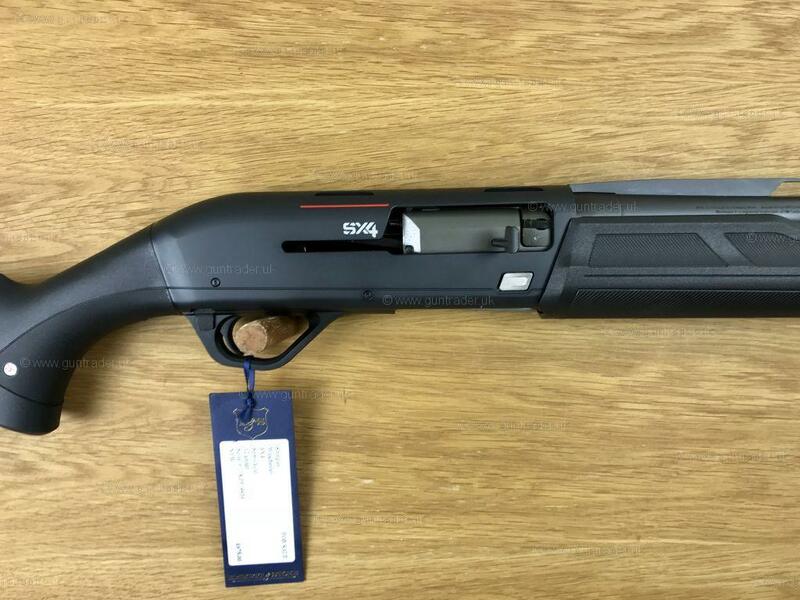 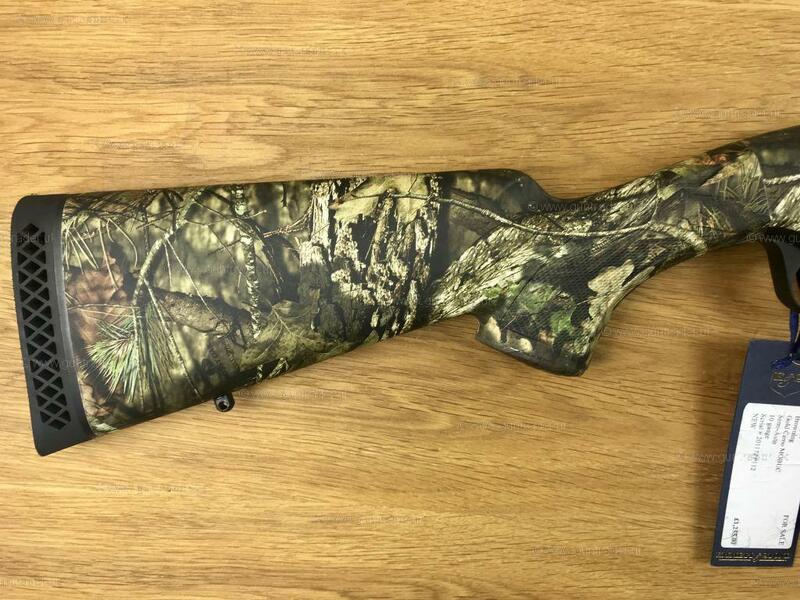 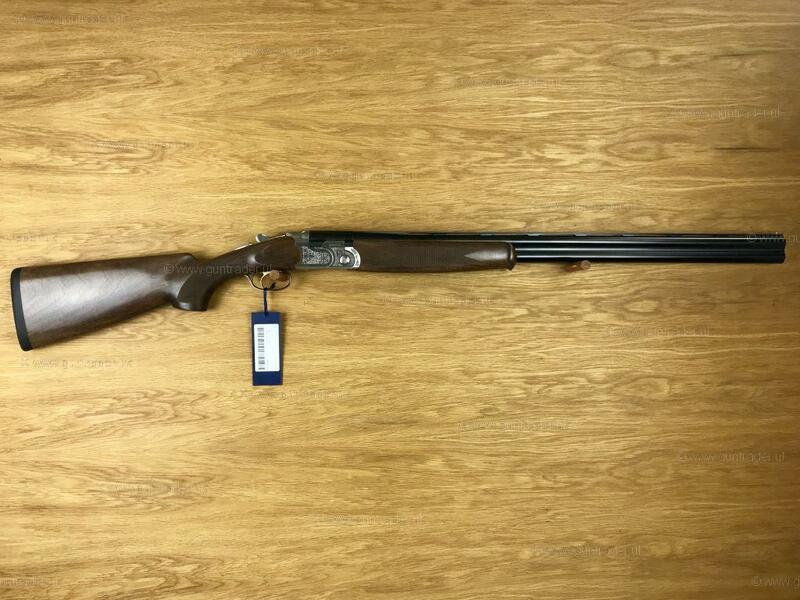 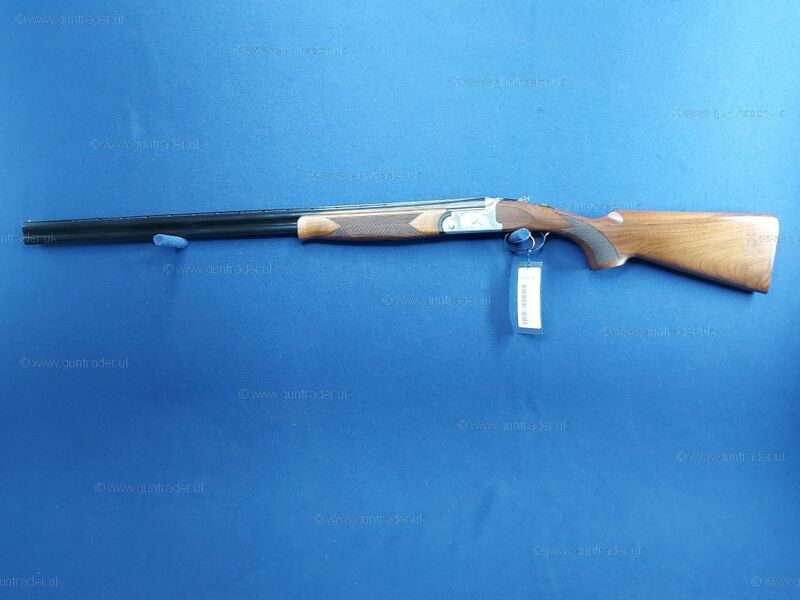 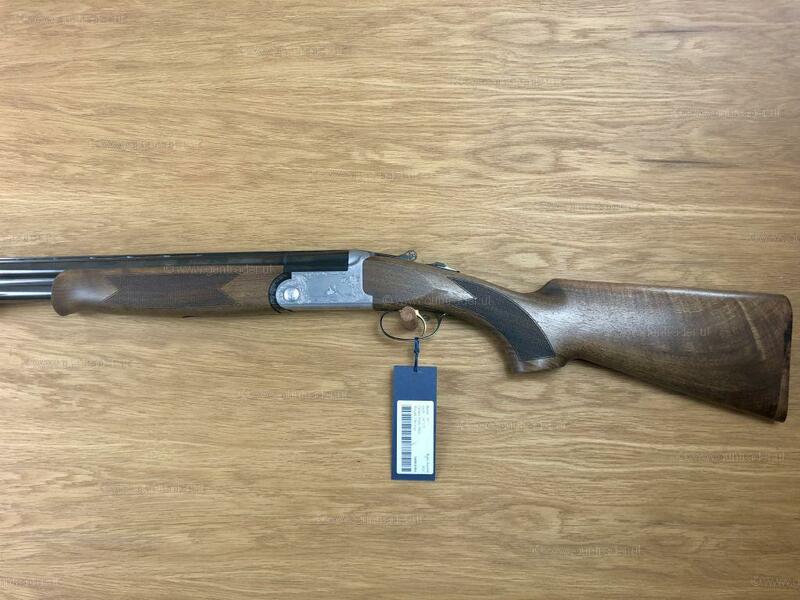 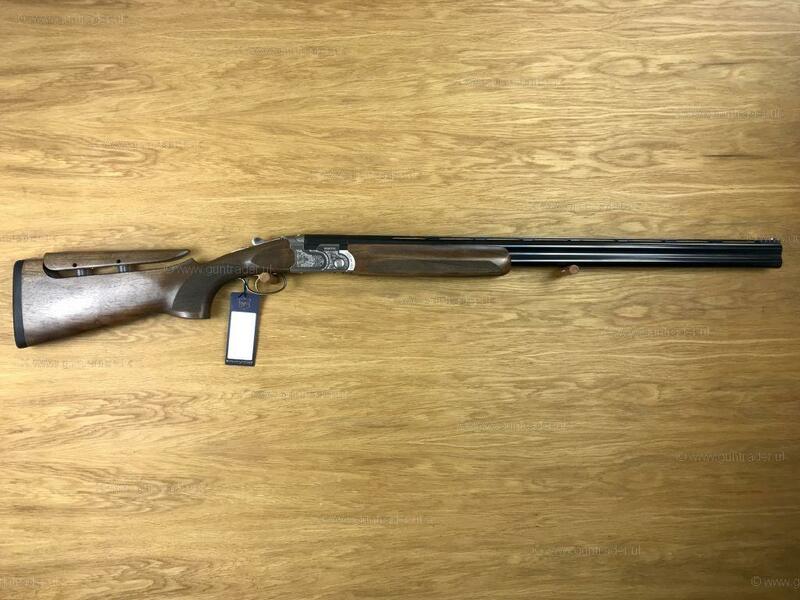 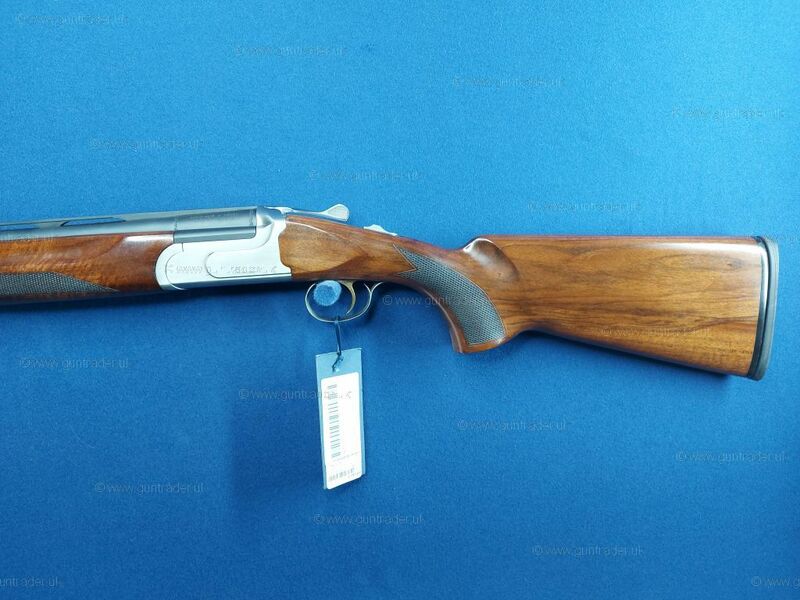 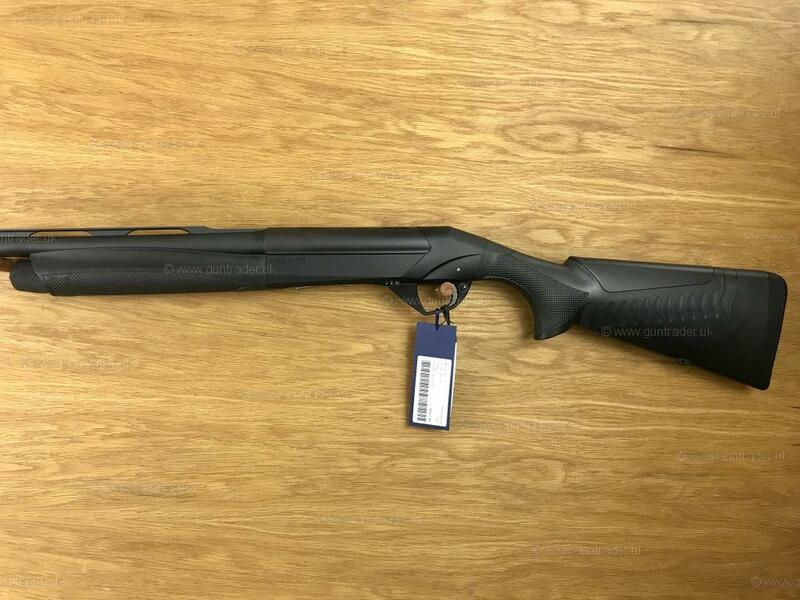 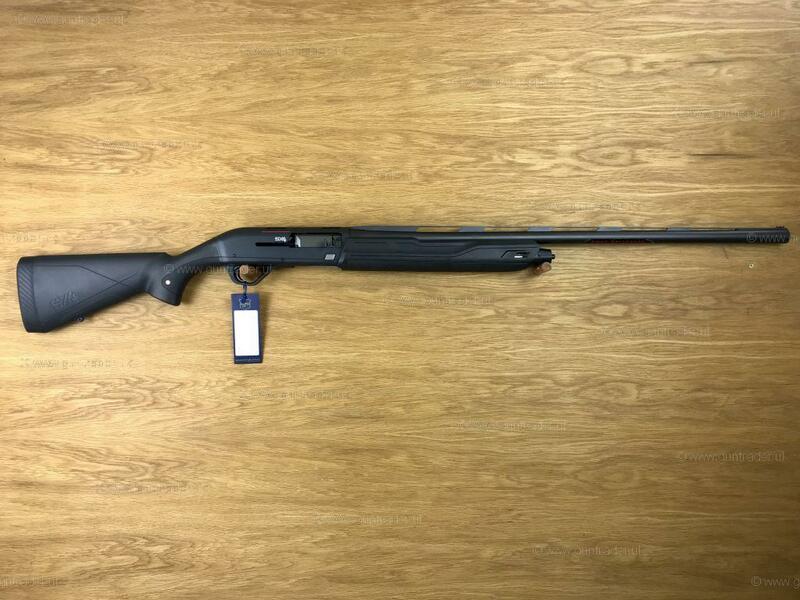 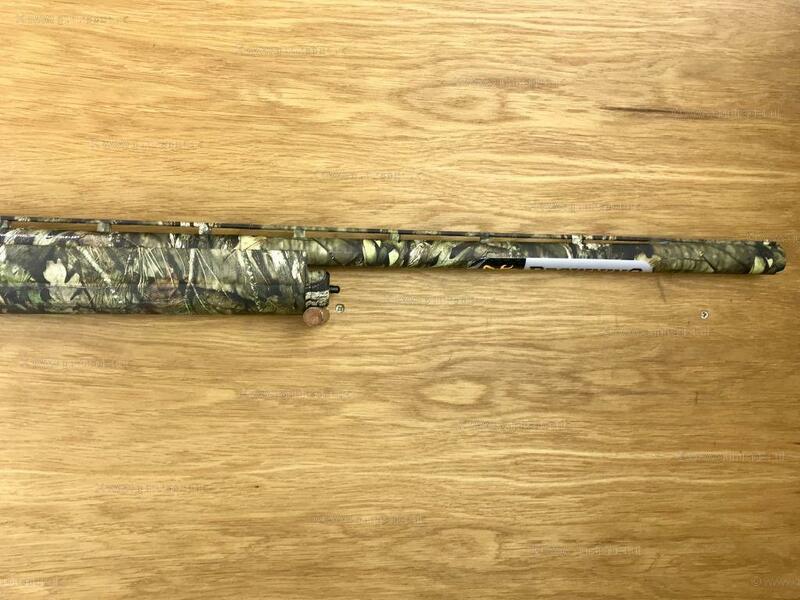 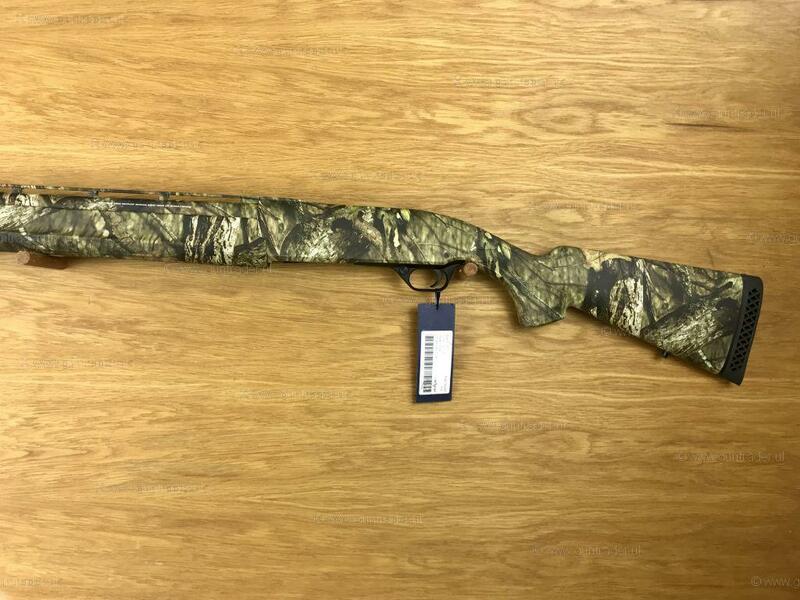 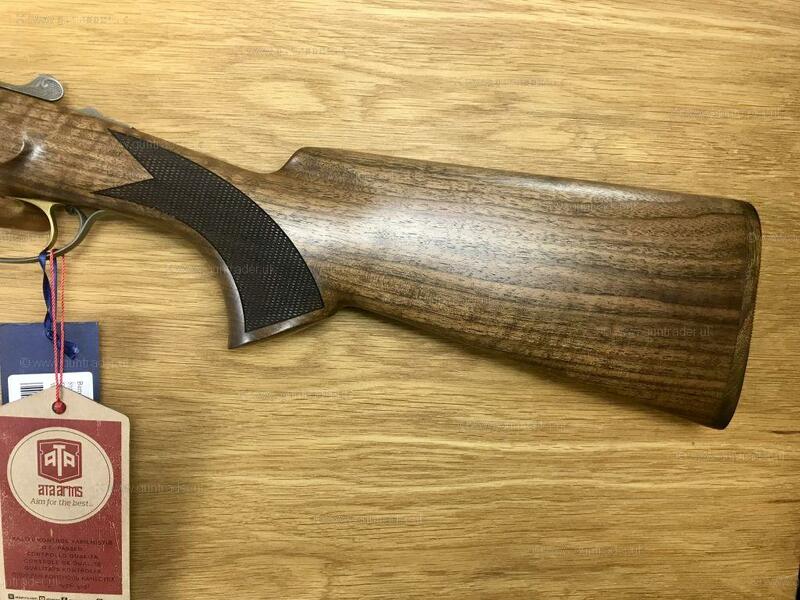 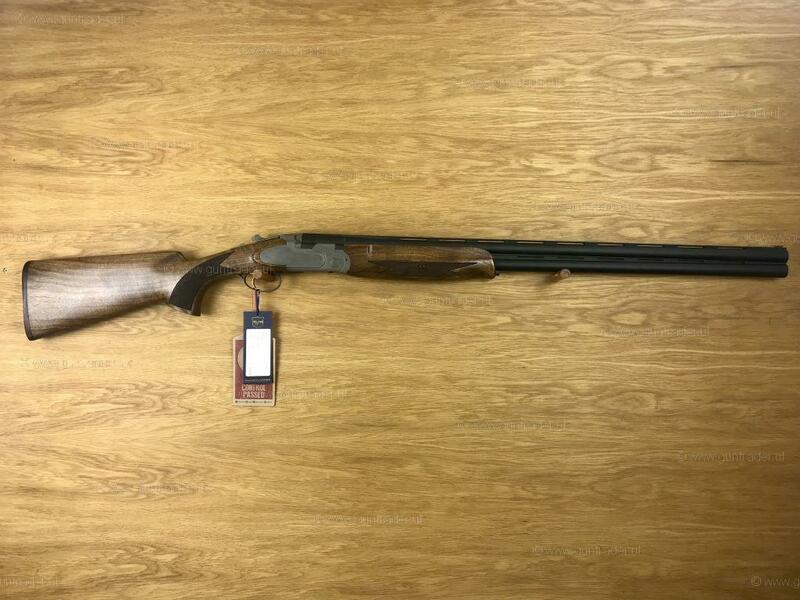 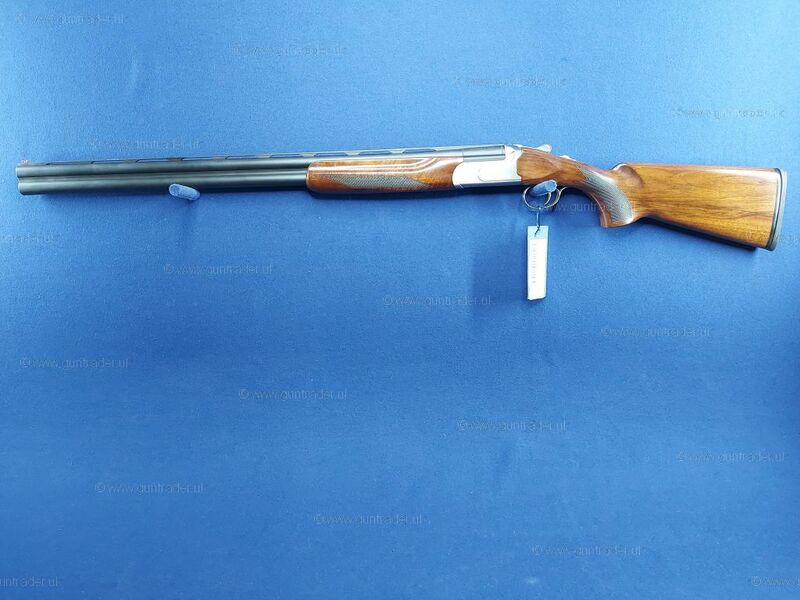 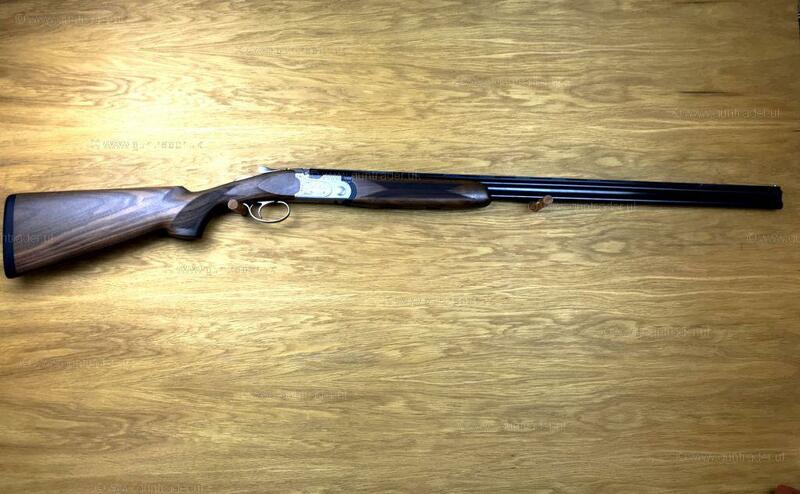 ***Premium Gun** This is a brand new Caesar Guerini Maxum 20ga with 32” multi choke barrels. 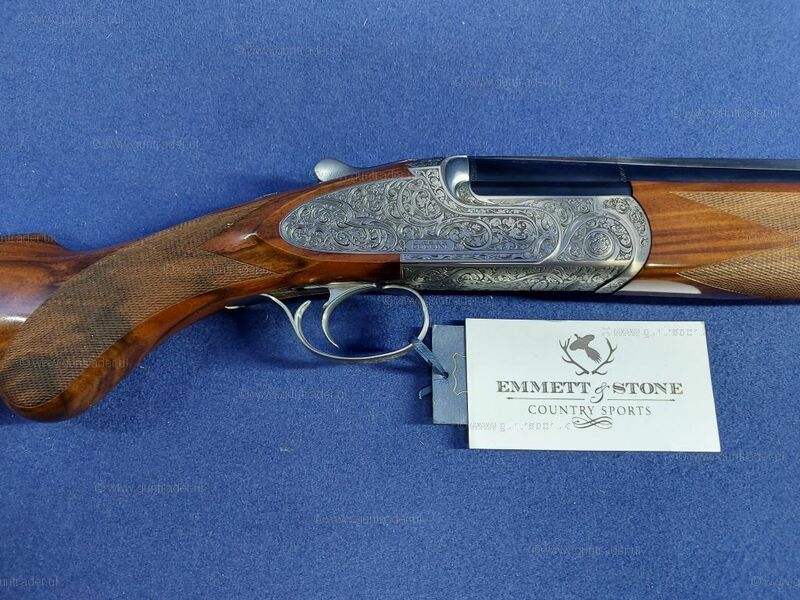 This gun is engraved with a beautiful heavy acanthus scroll. 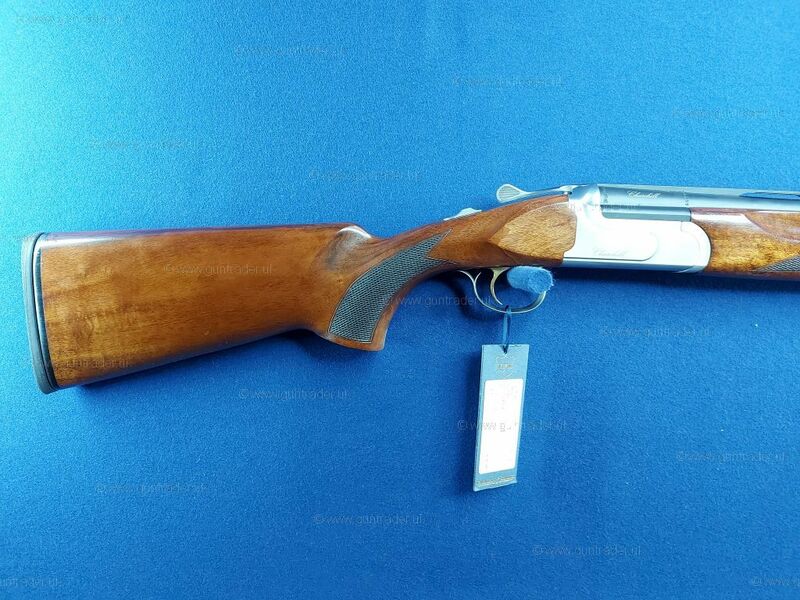 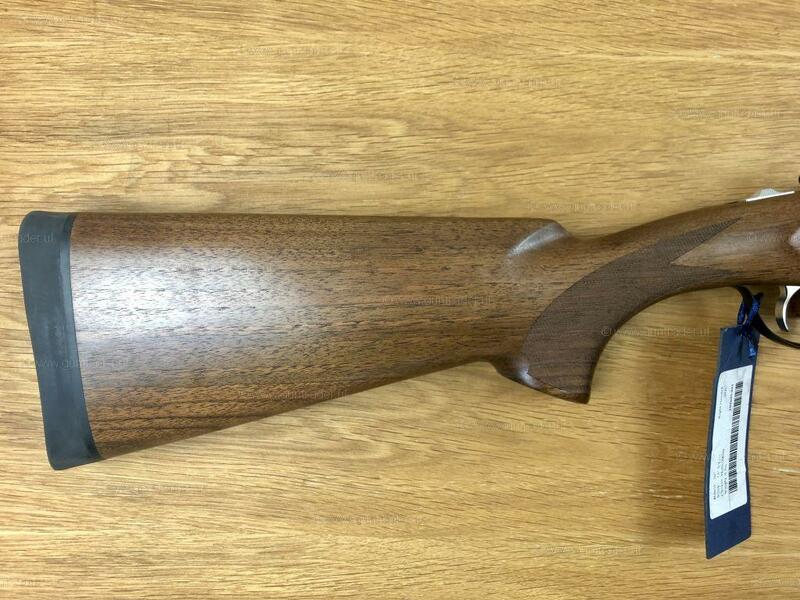 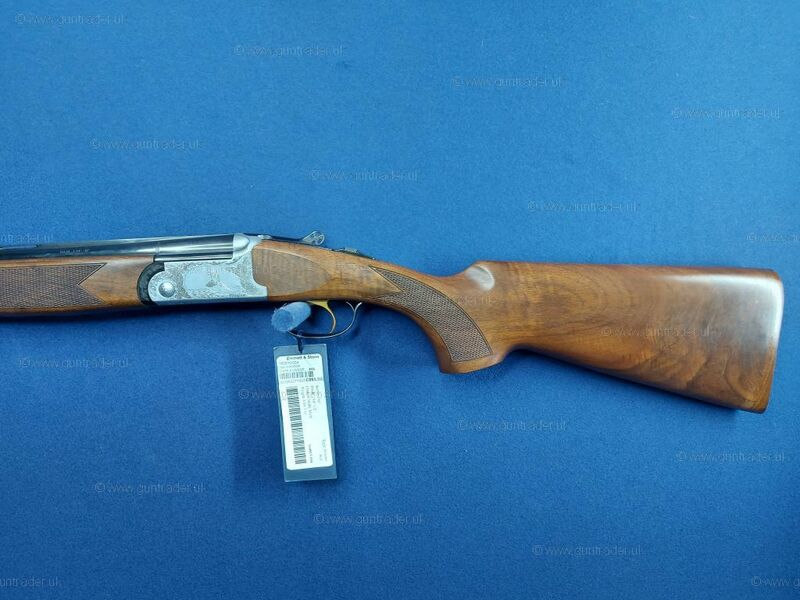 This gun really stands out from the crowd coming with nicely figured woodwork - the stock has a rounded pistol grip which is comfortable to hold and use. 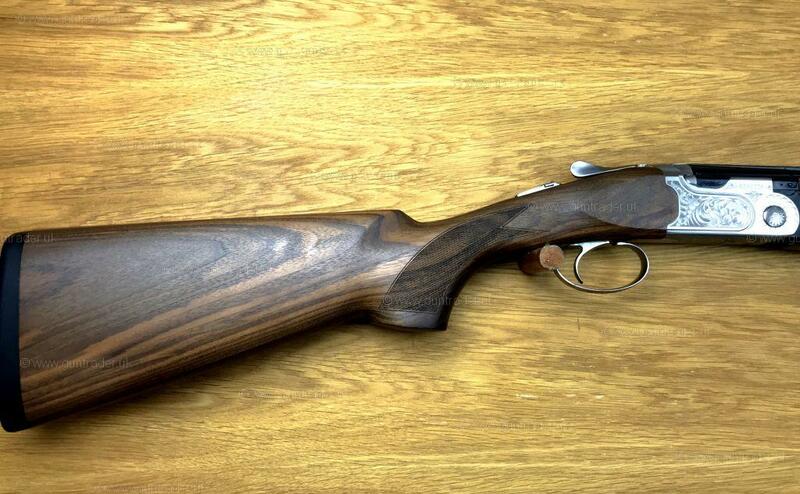 This would be a fantastic gun for driven game shooting. 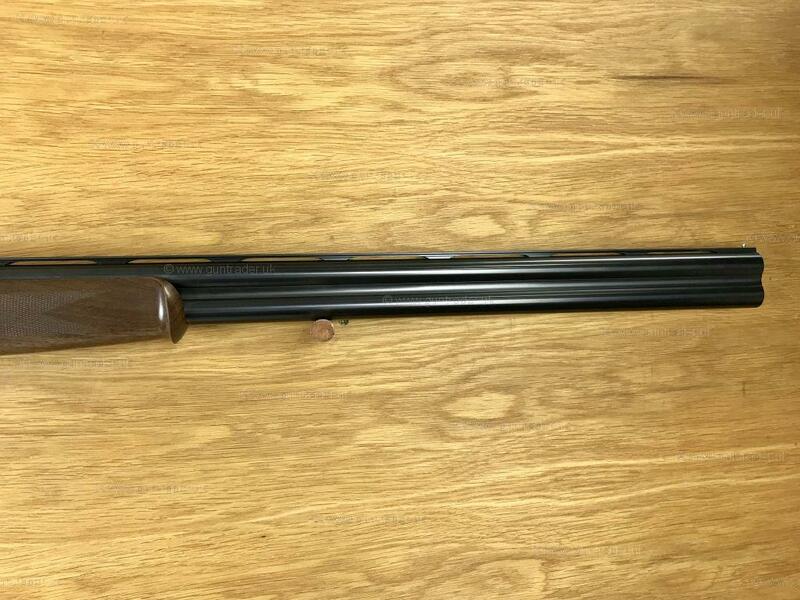 It comes boxed with a set of 5 internal multi chokes. 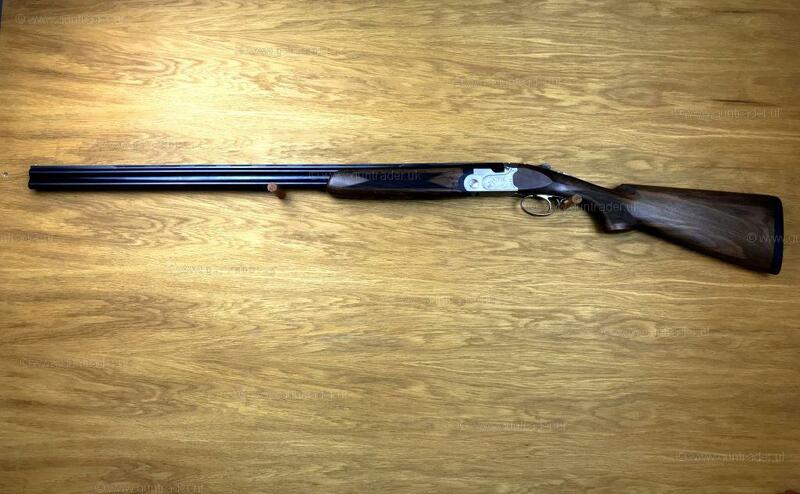 RFD transfer and finance available. 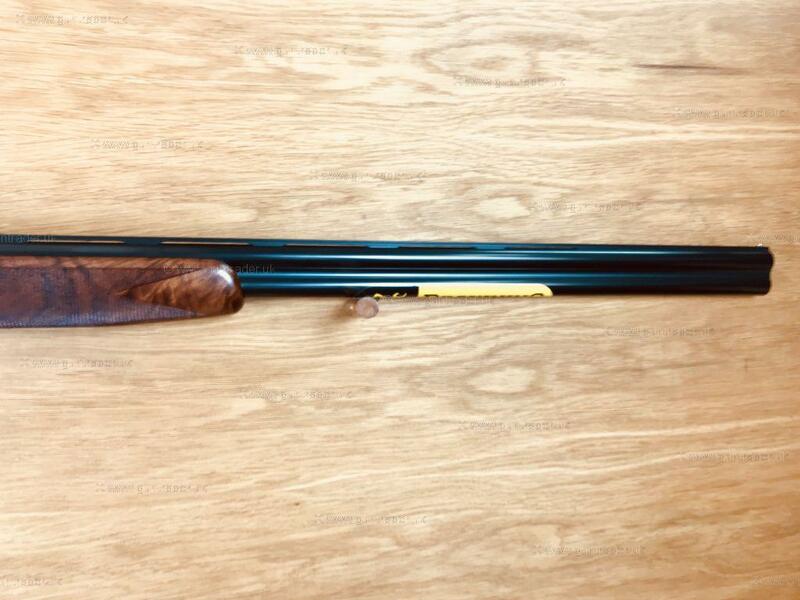 Built in conjunction fine shotgun maker Fausti Stefano of Italy, Sauer have developed a new over-and-under game shotgun the SAUER Apollon, perfectly tailored for new and experienced game shots The styling of the Apollon sets them niceley apart from the crowd. 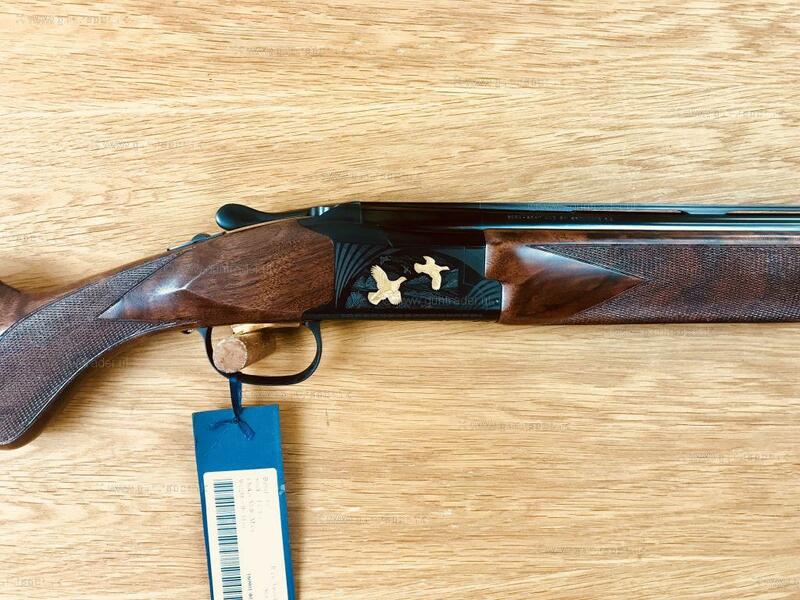 Its modestly engraved black frame, golden SAUER logo on the hinge pin, and elegantly laser enhanced wood really makes this gun stand out. 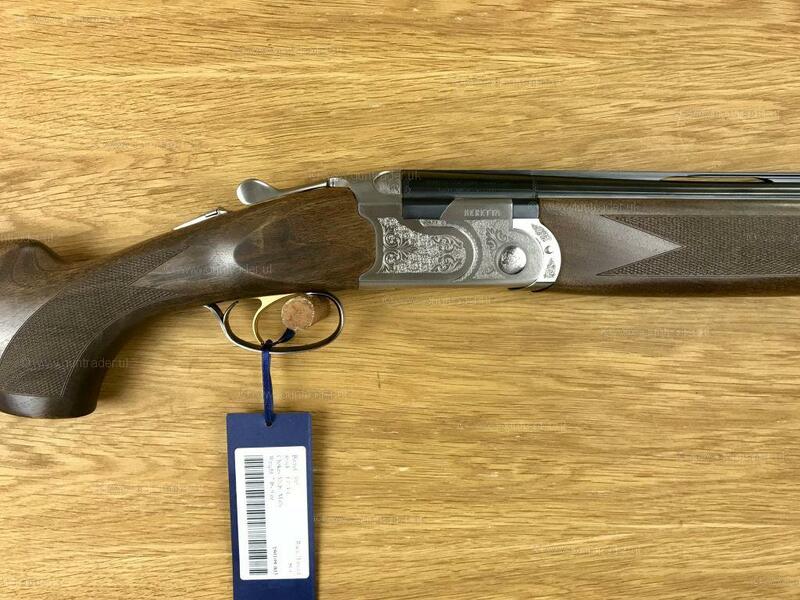 RFD transfer and finance available.